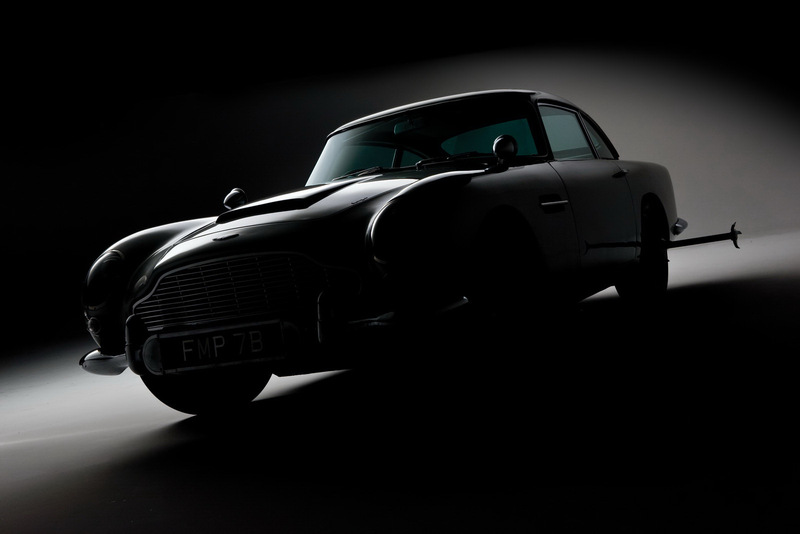 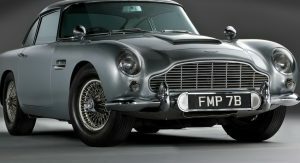 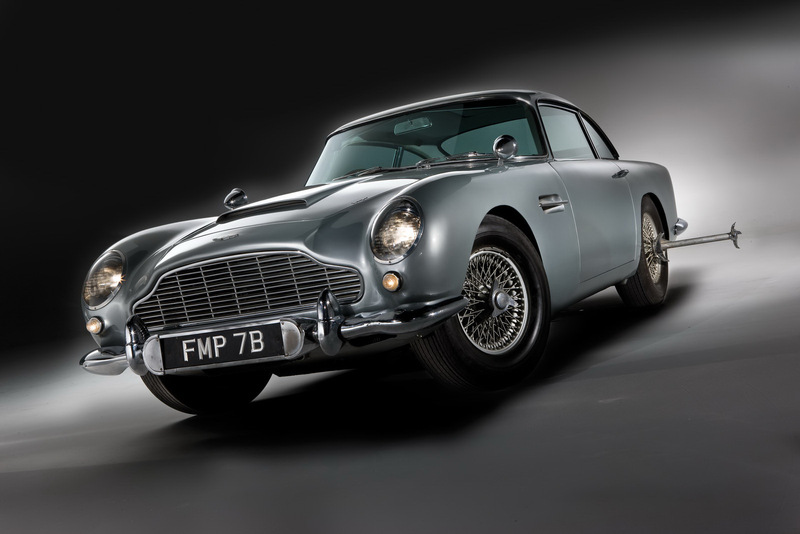 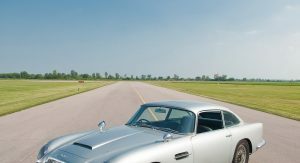 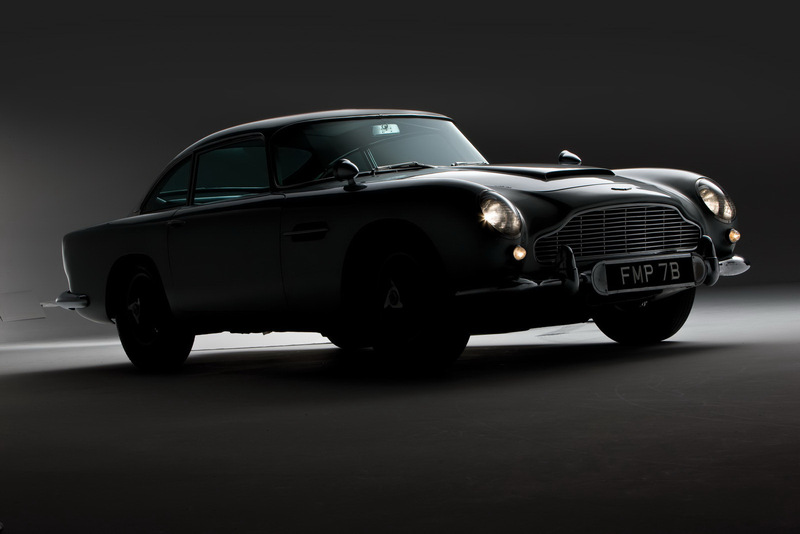 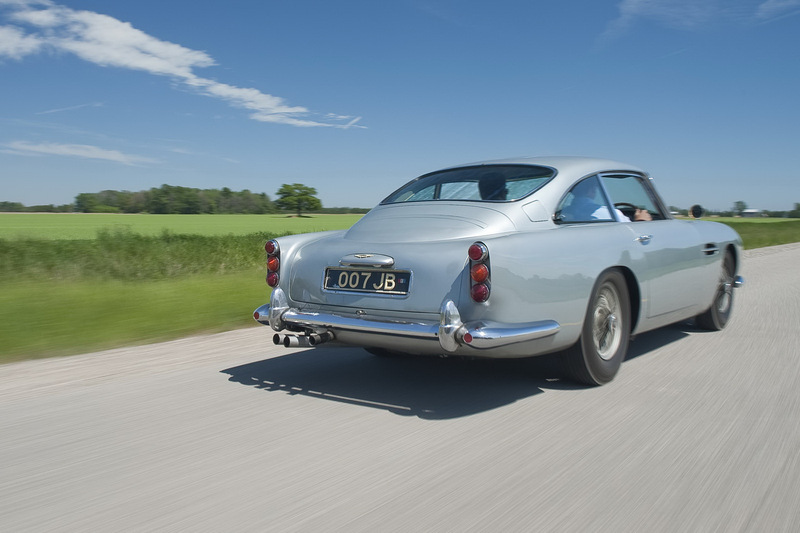 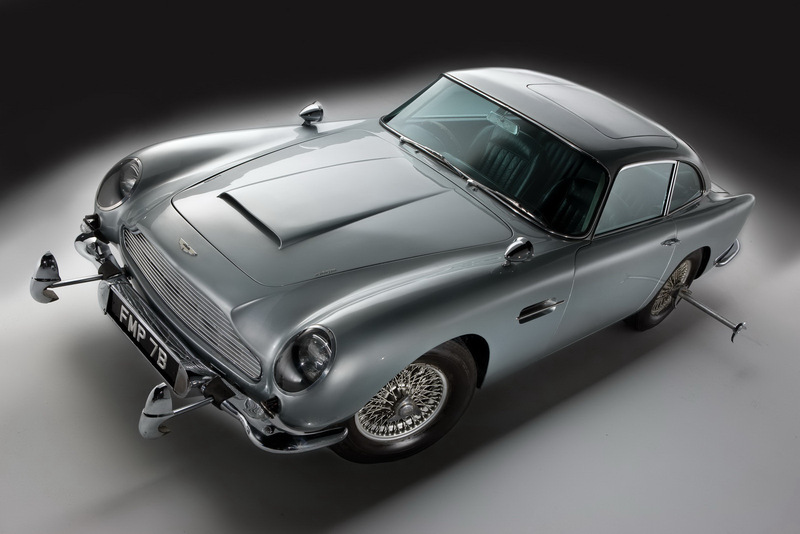 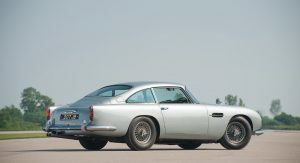 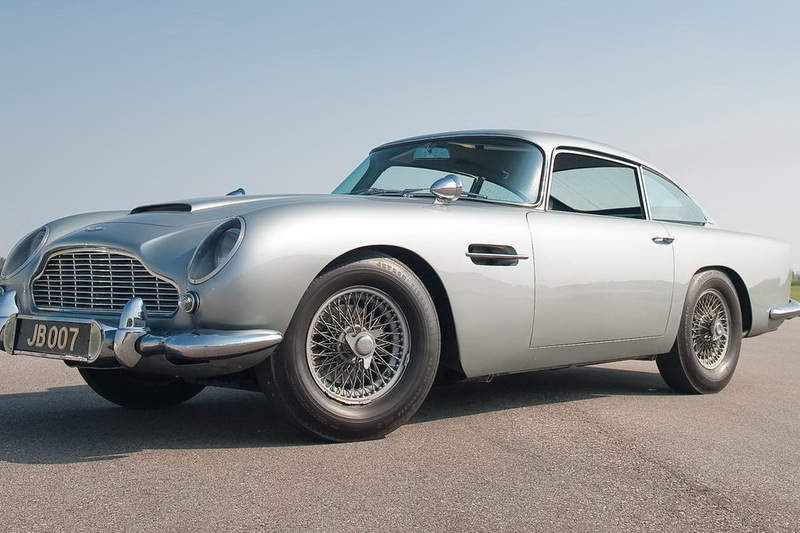 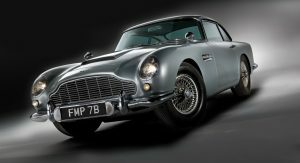 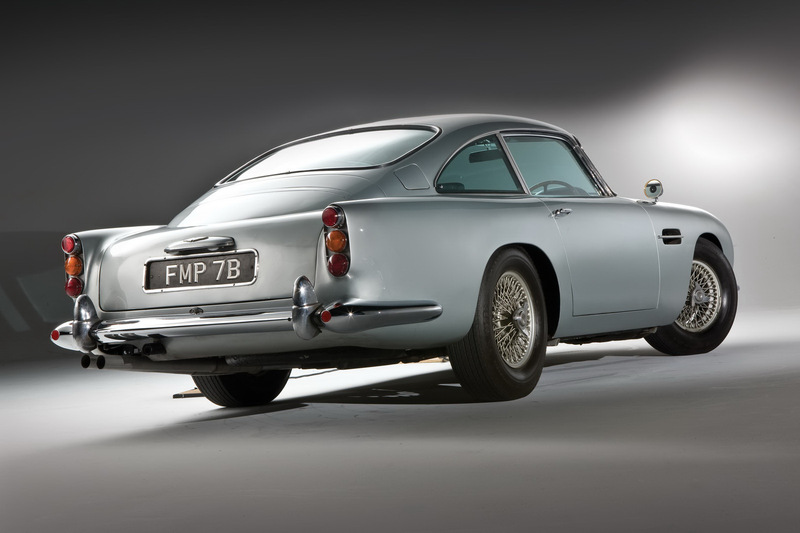 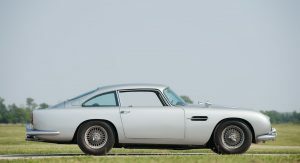 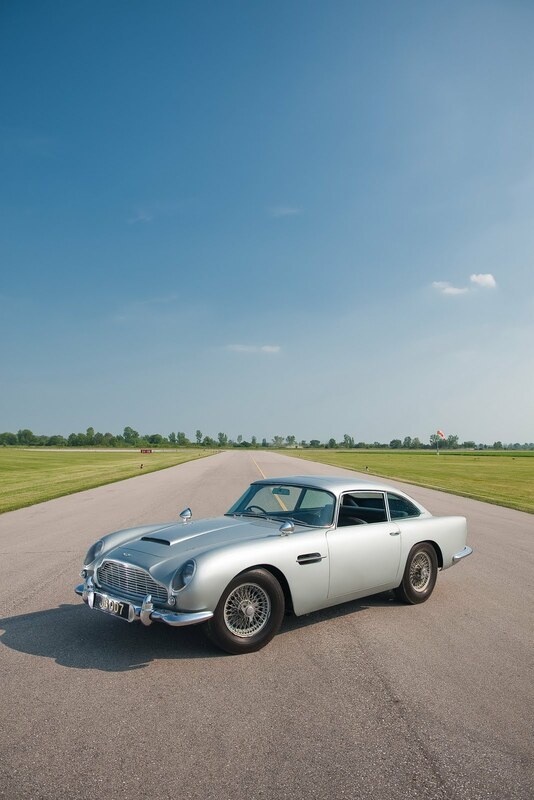 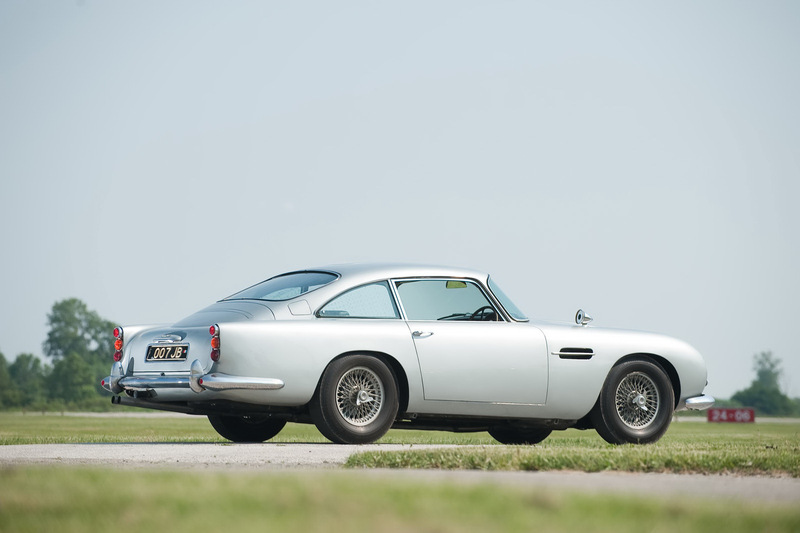 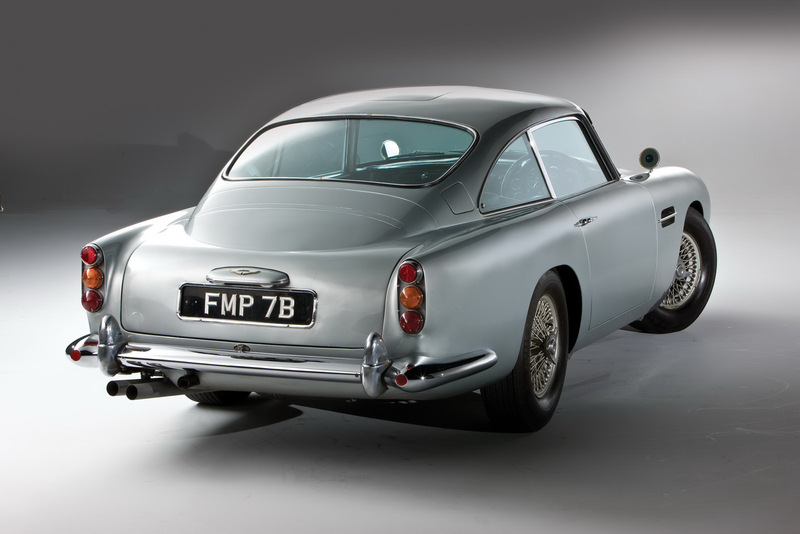 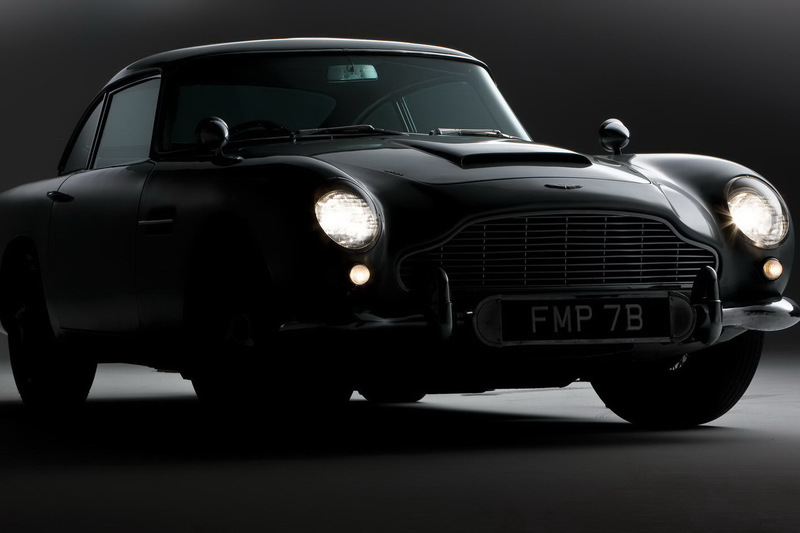 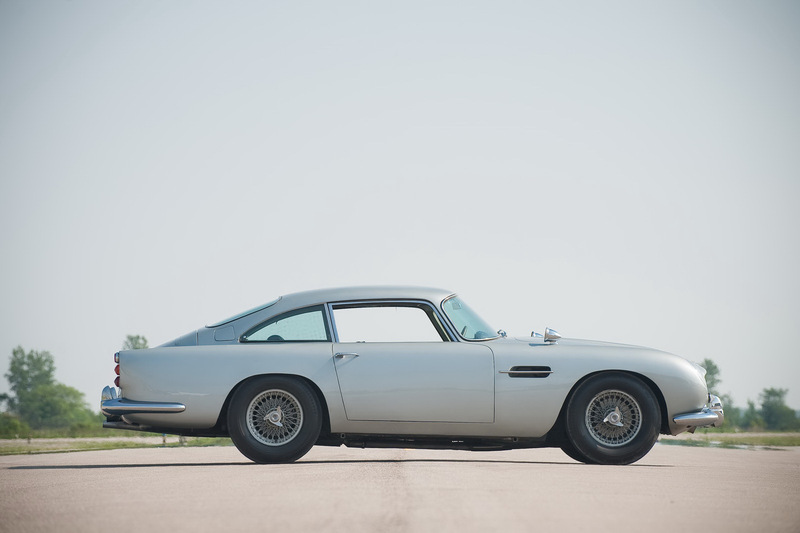 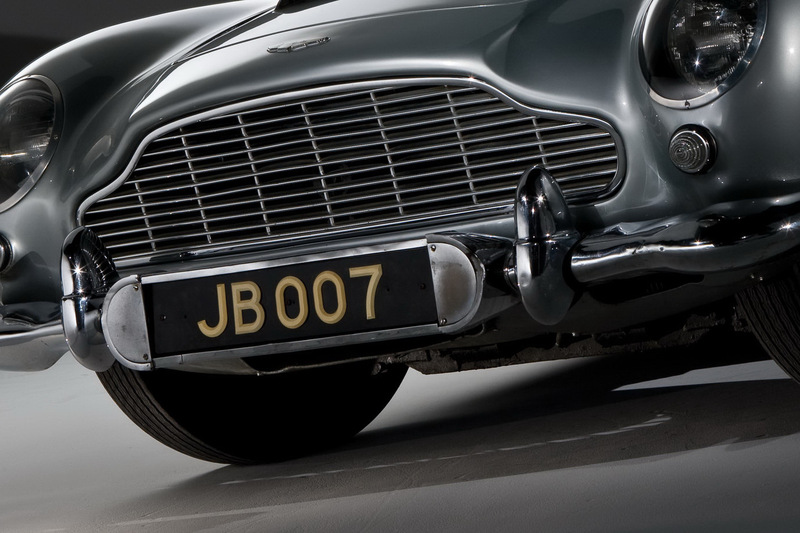 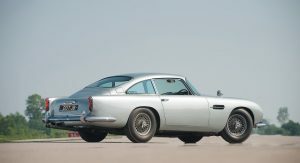 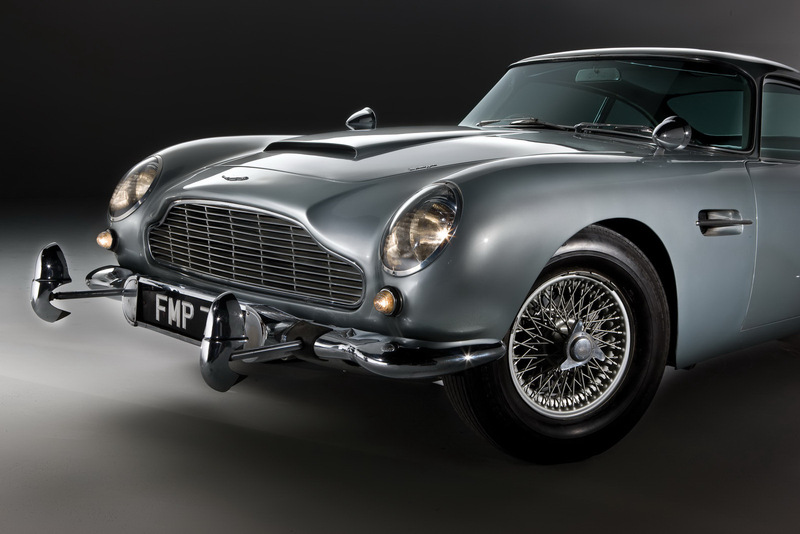 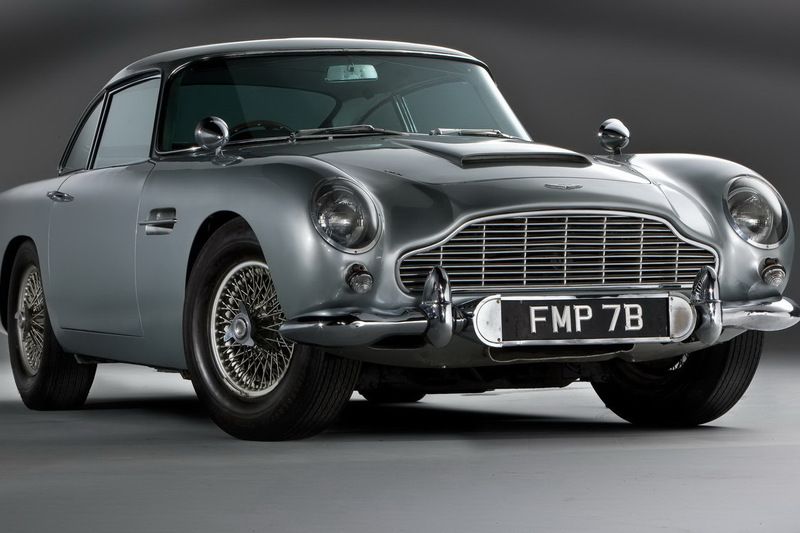 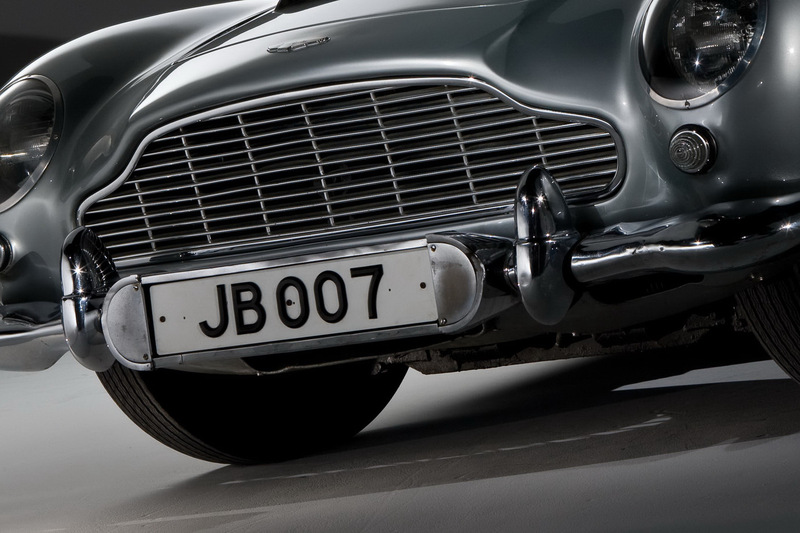 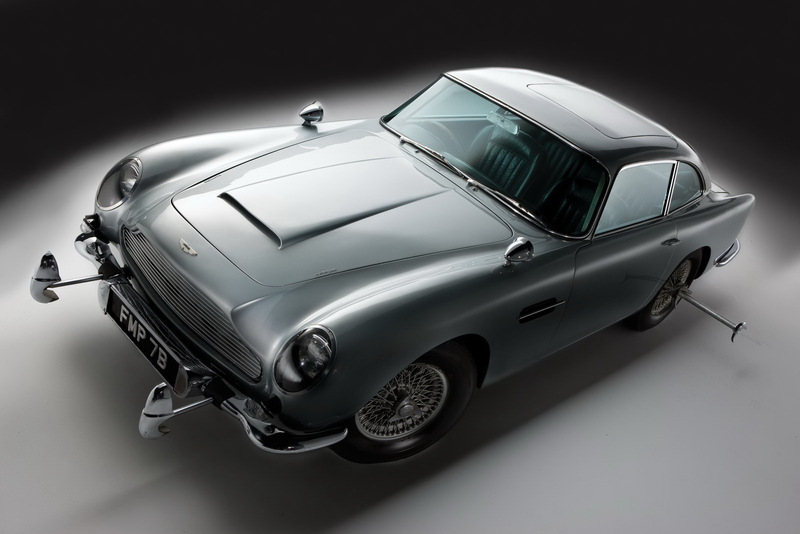 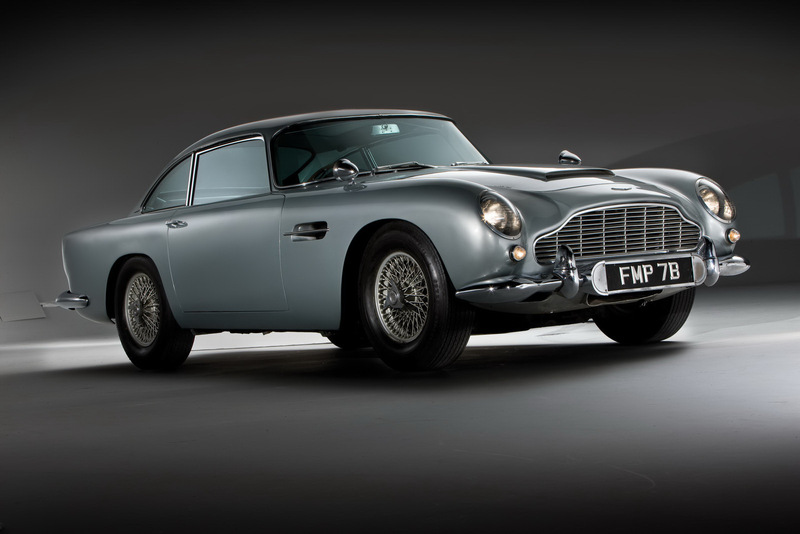 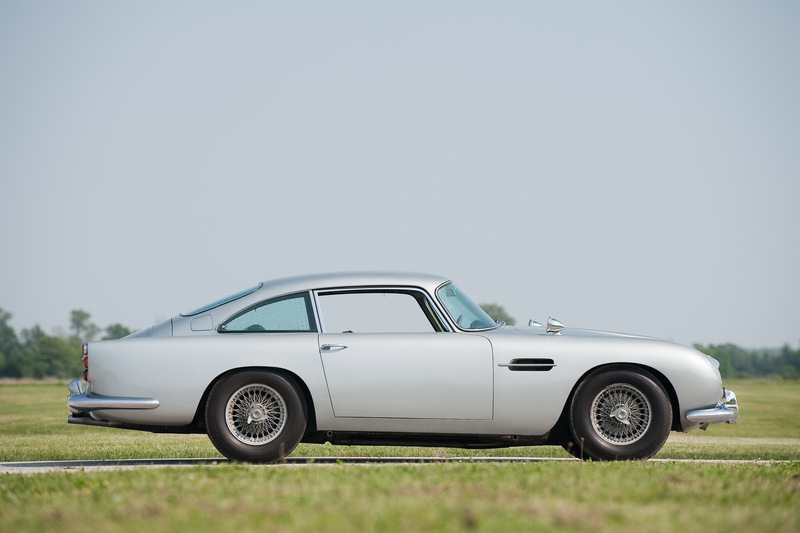 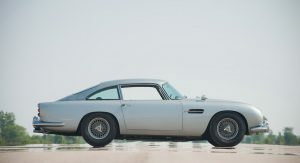 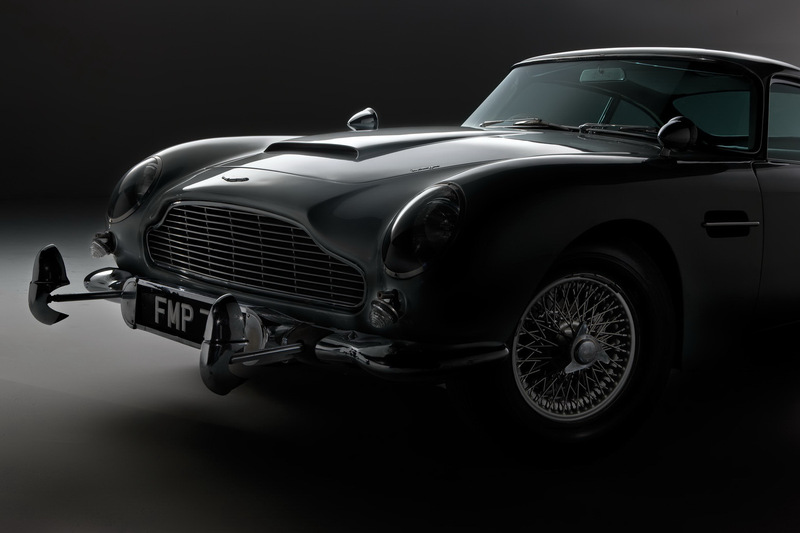 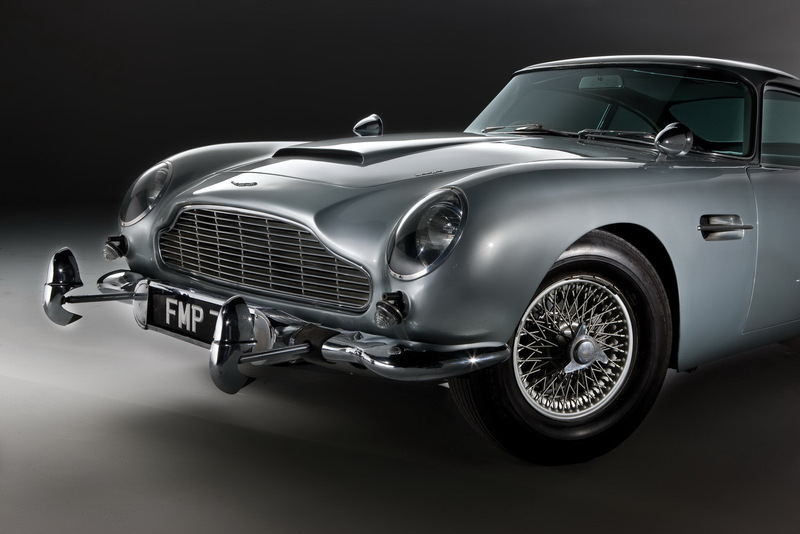 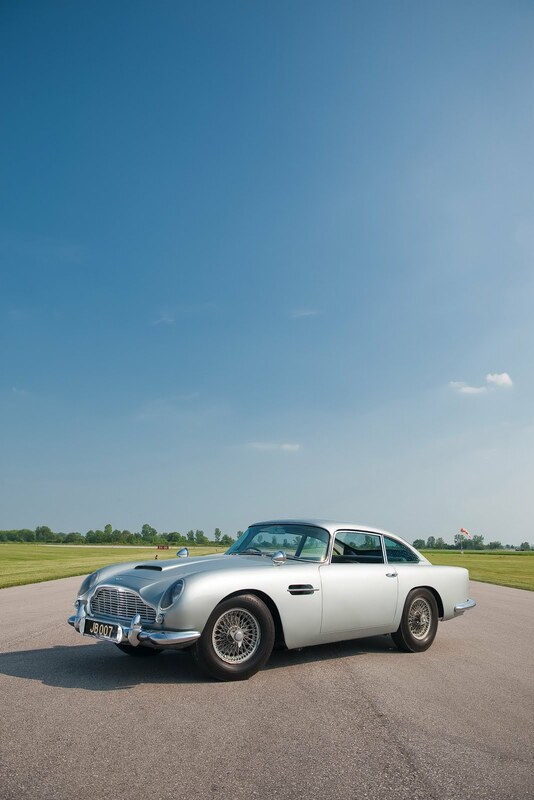 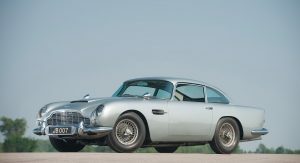 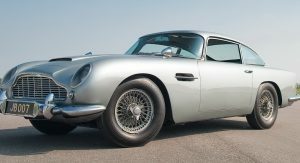 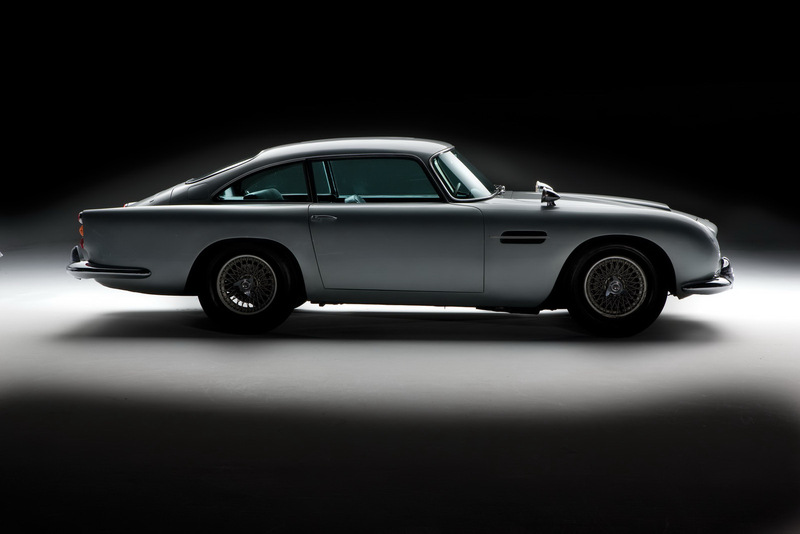 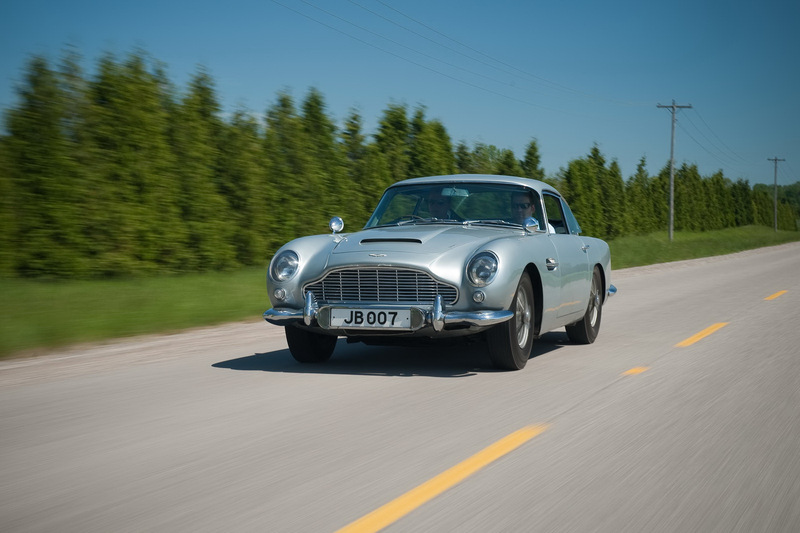 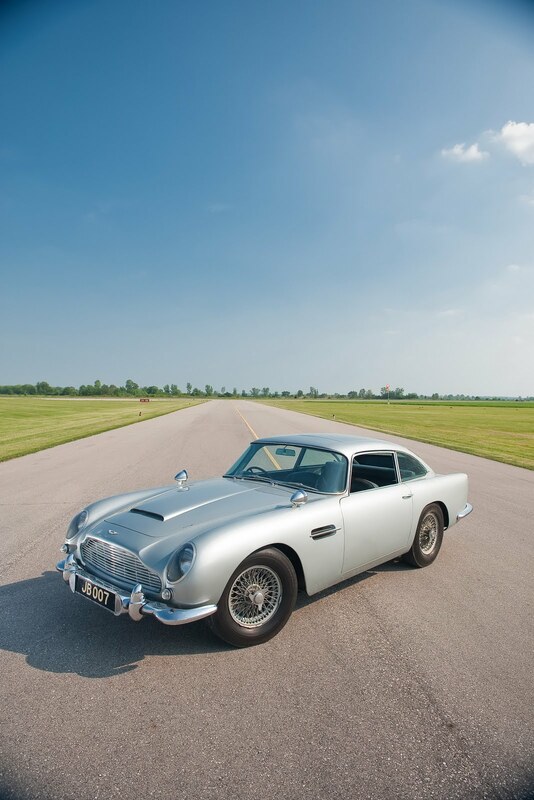 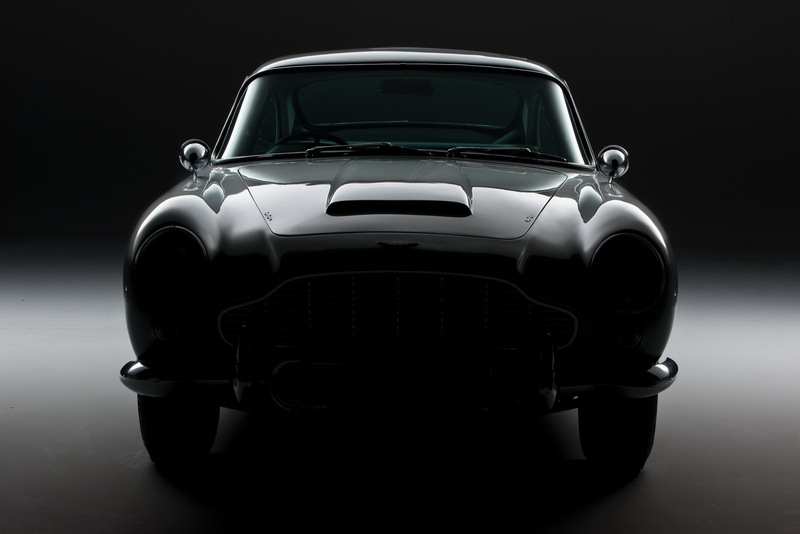 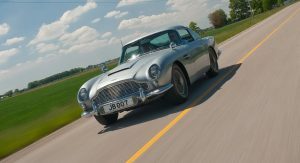 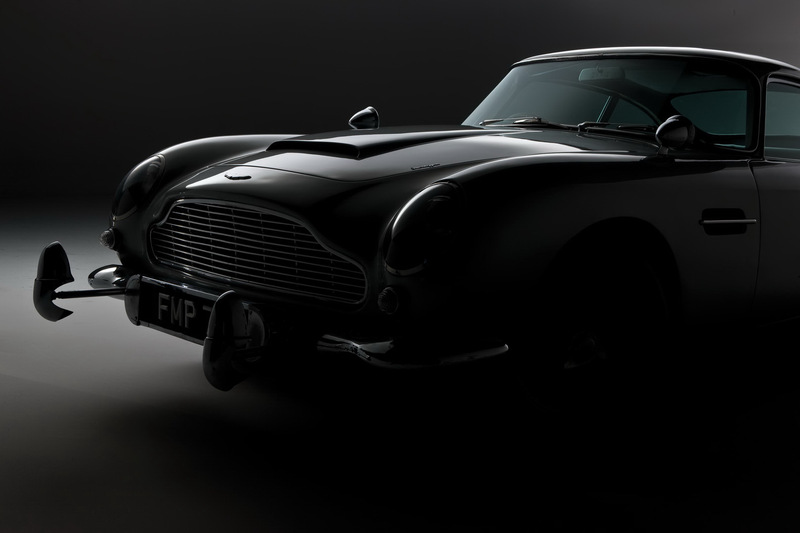 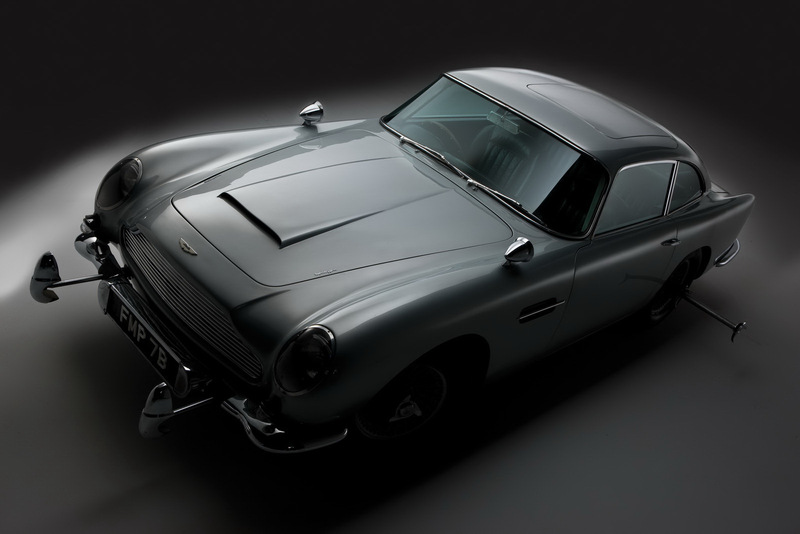 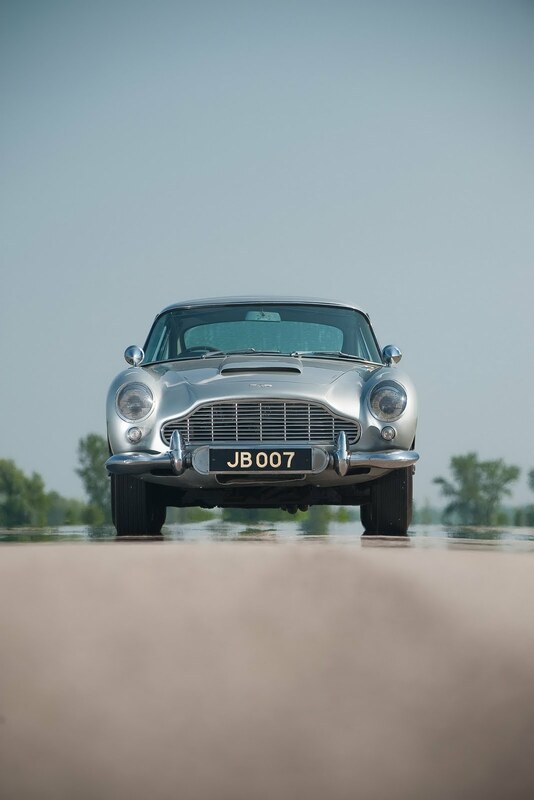 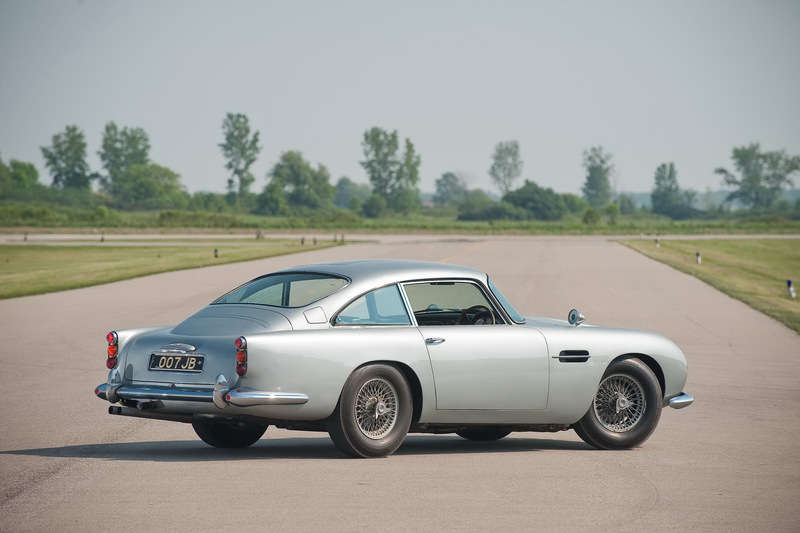 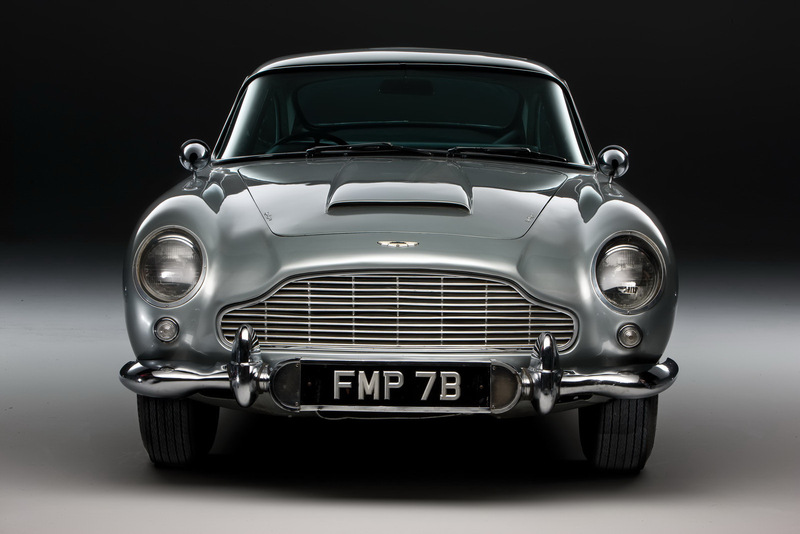 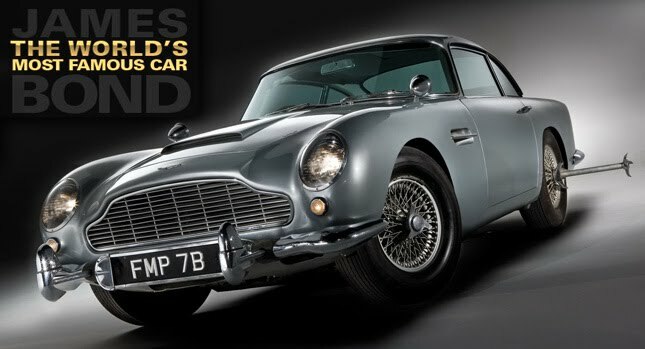 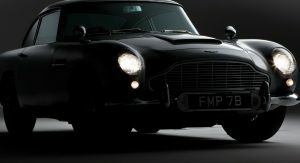 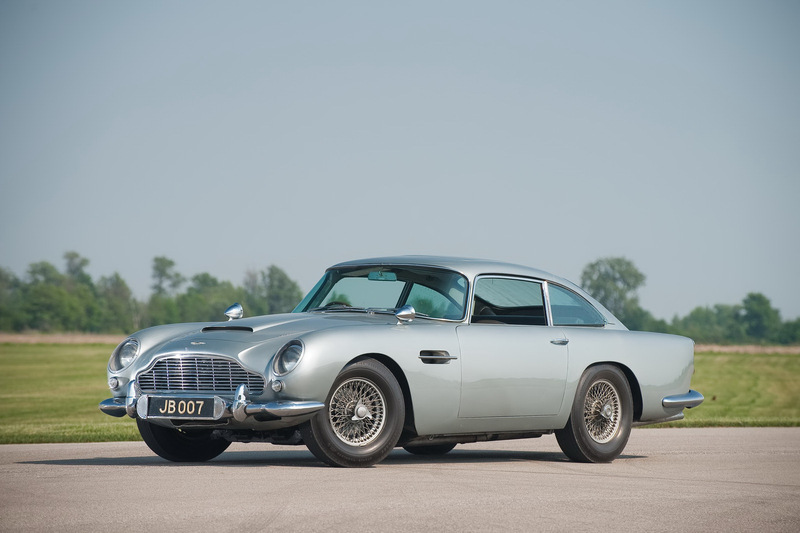 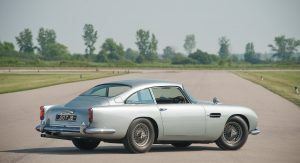 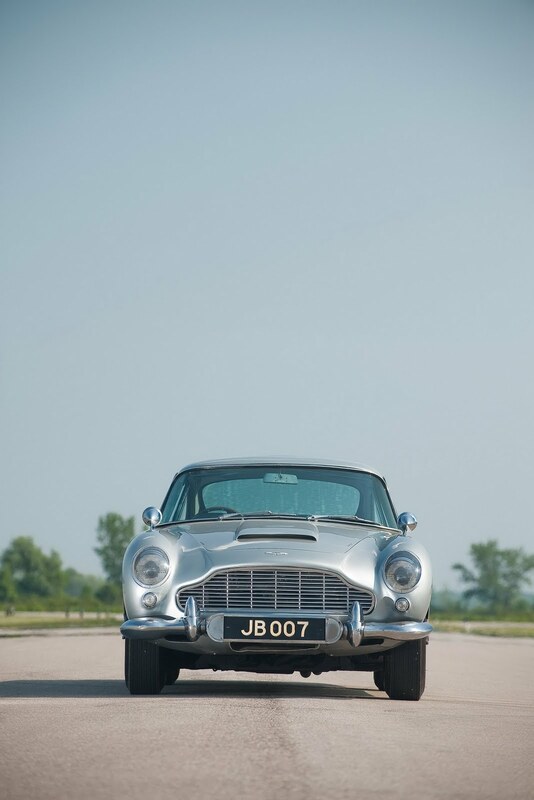 Along with George Barris’ 1966 Batmobile, James Bond’s 1964 Aston Martin DB5 is if not the, one of the most recognized movie cars of all times. 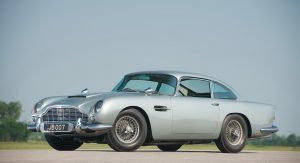 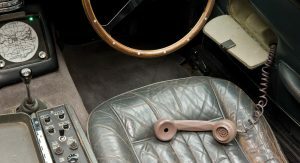 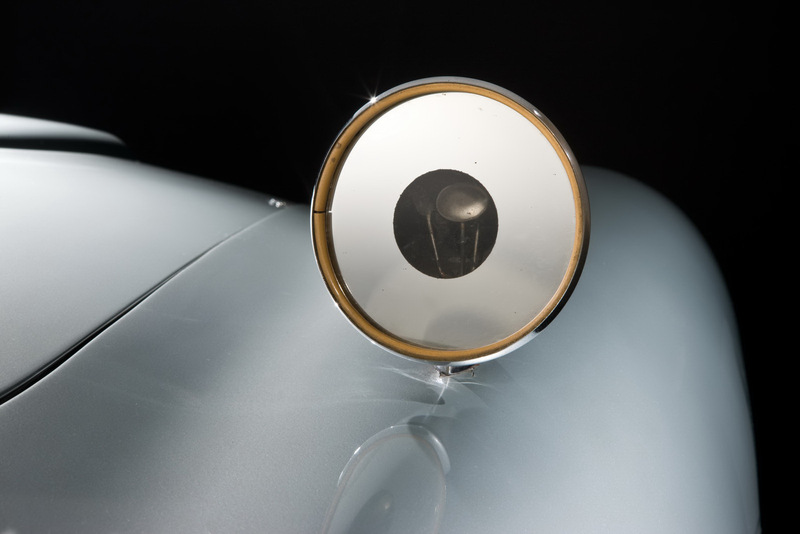 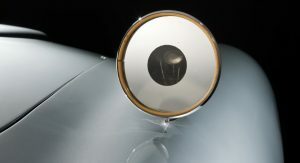 And now, for the first time in history, it’s going under the hammer by RM Auctions, a leading auctioneer of classic cars. 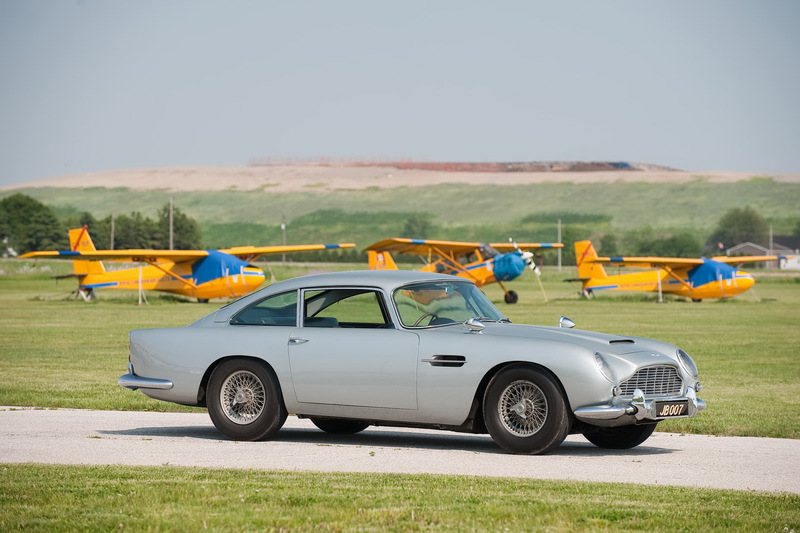 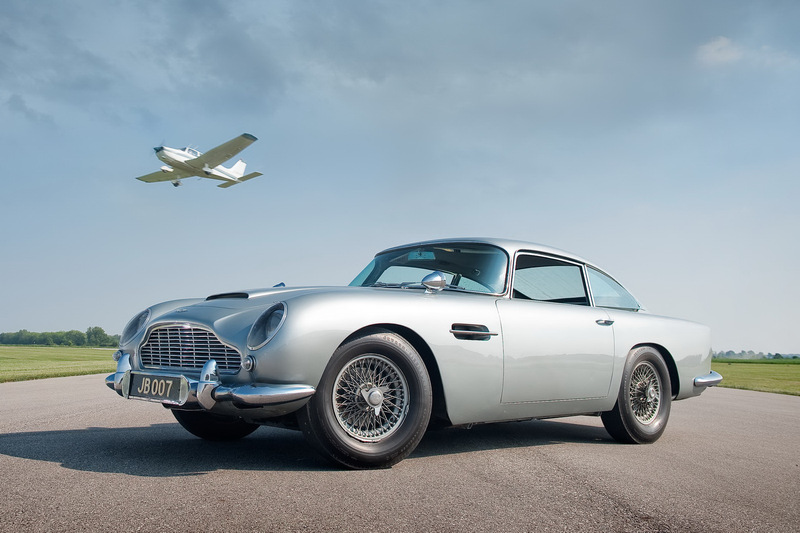 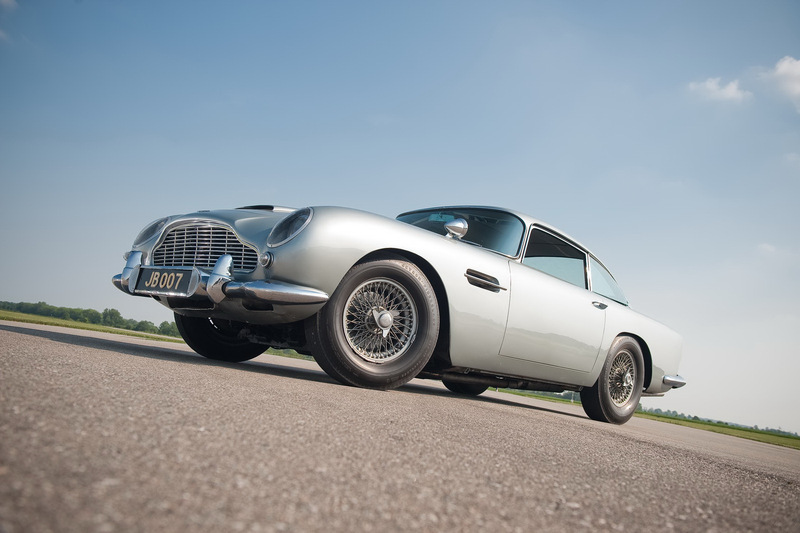 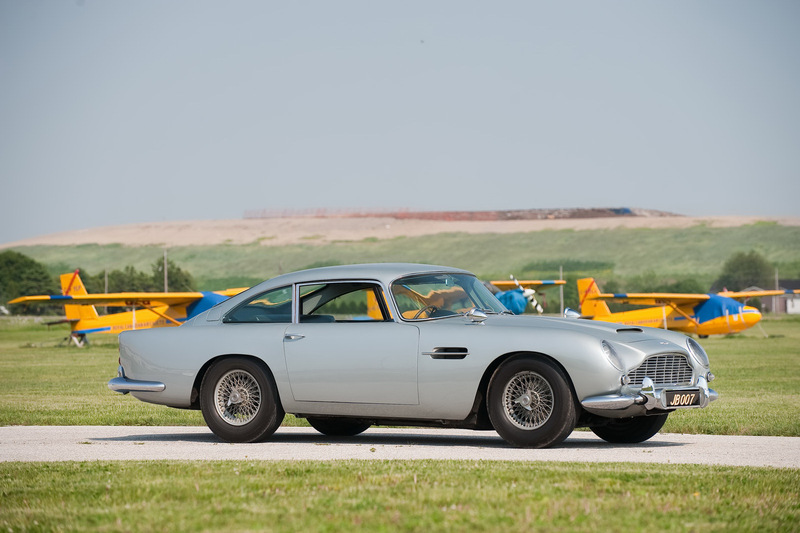 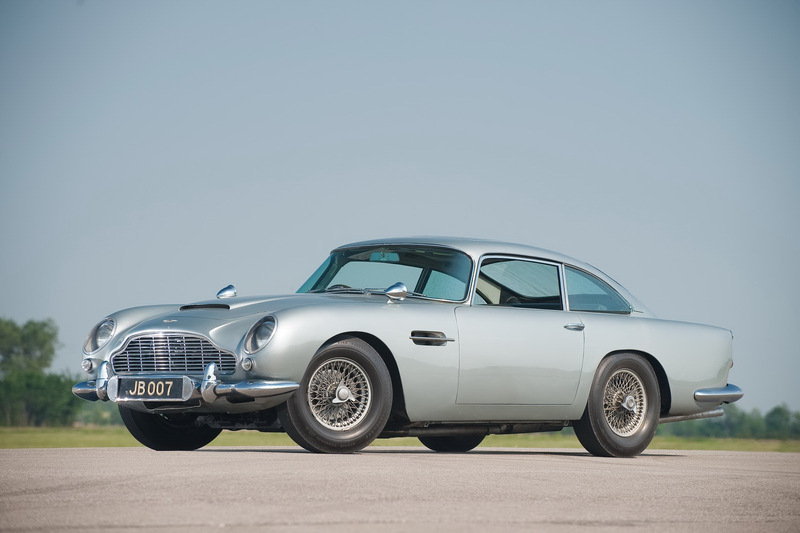 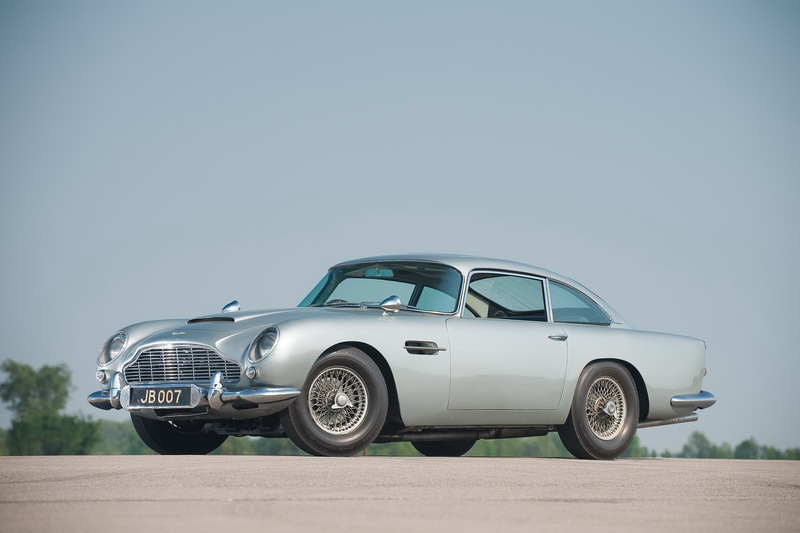 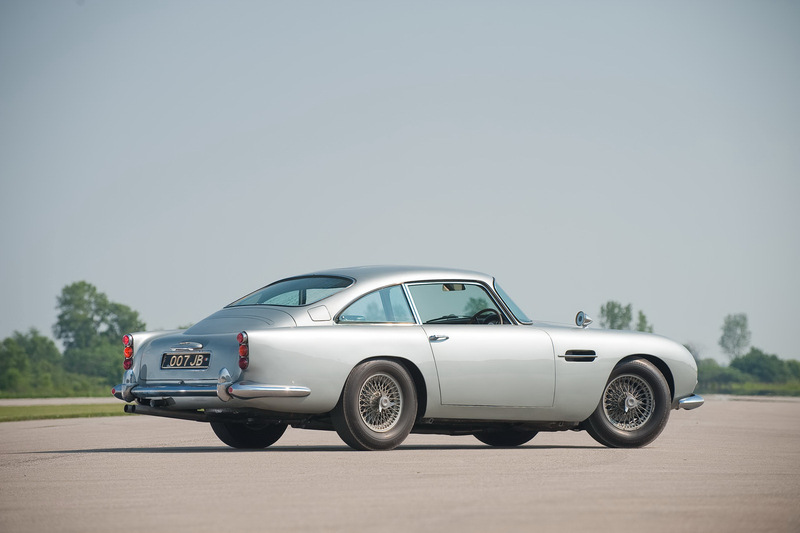 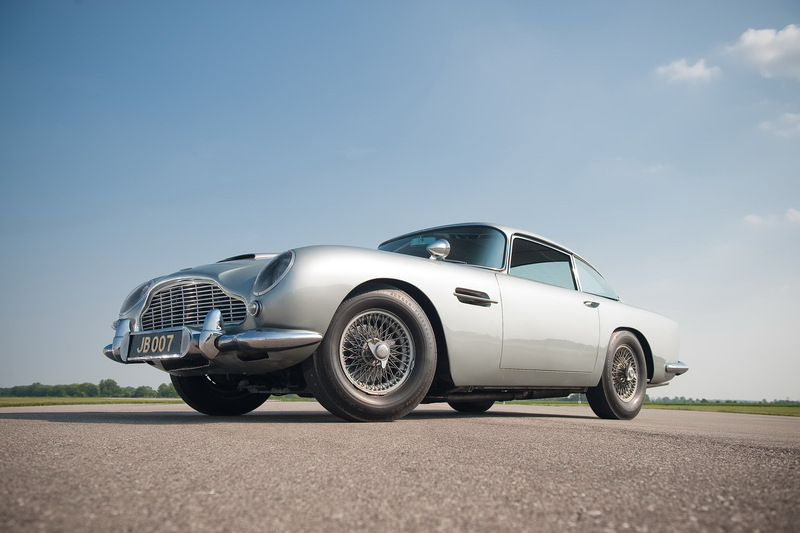 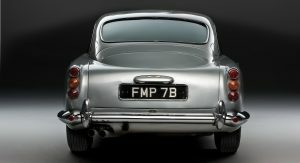 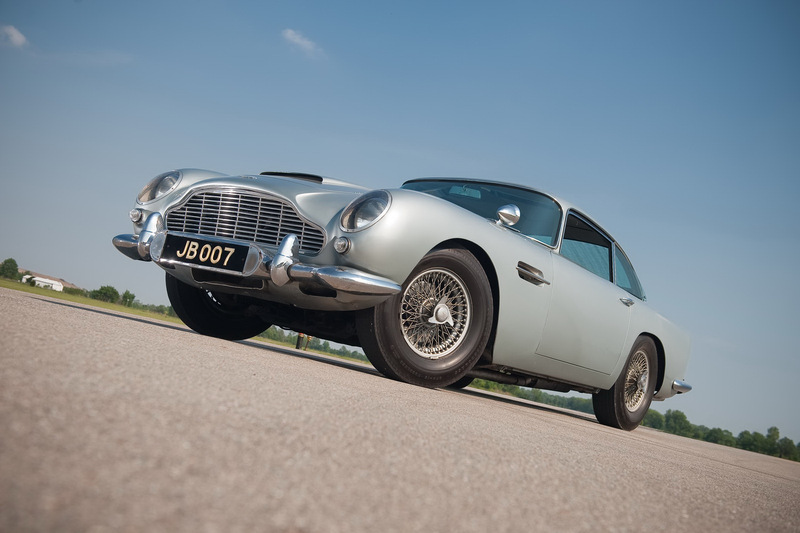 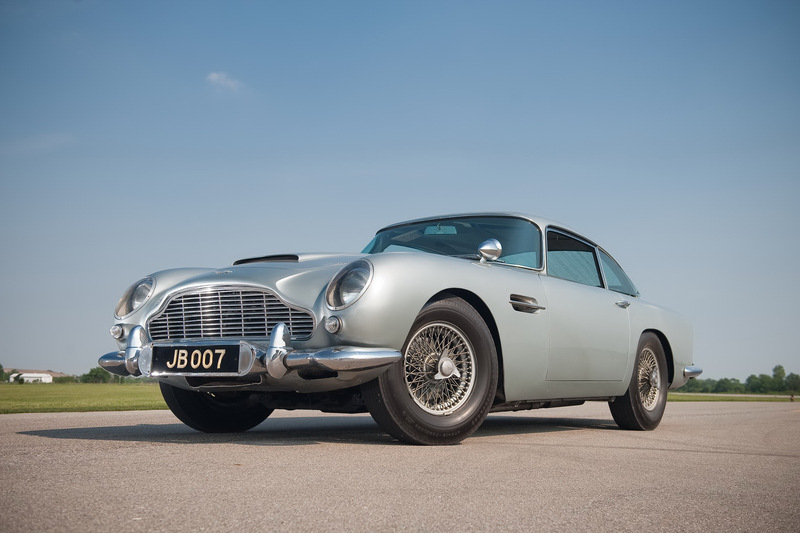 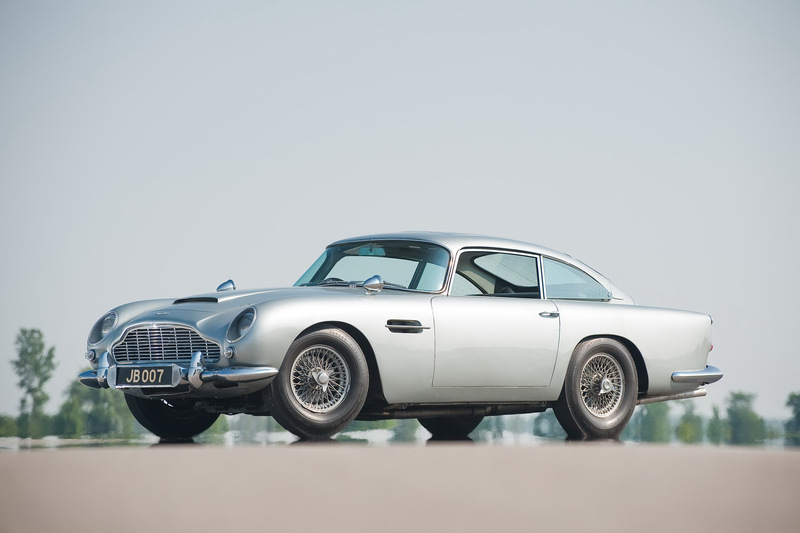 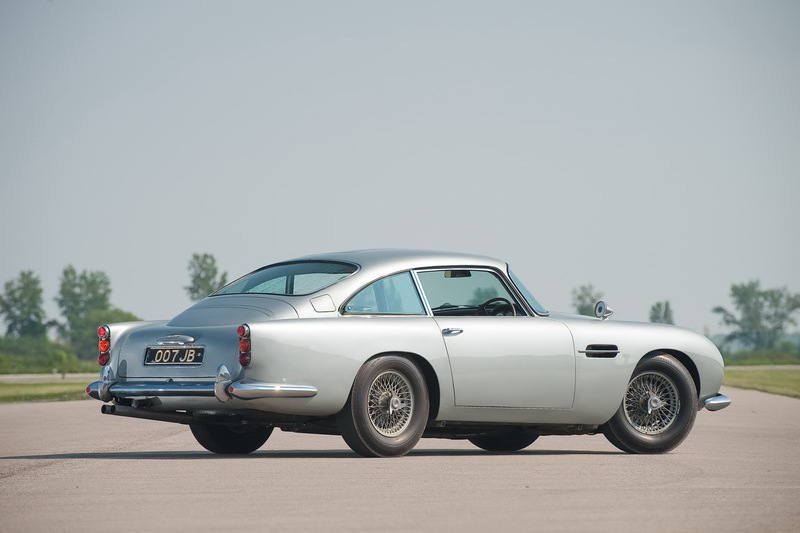 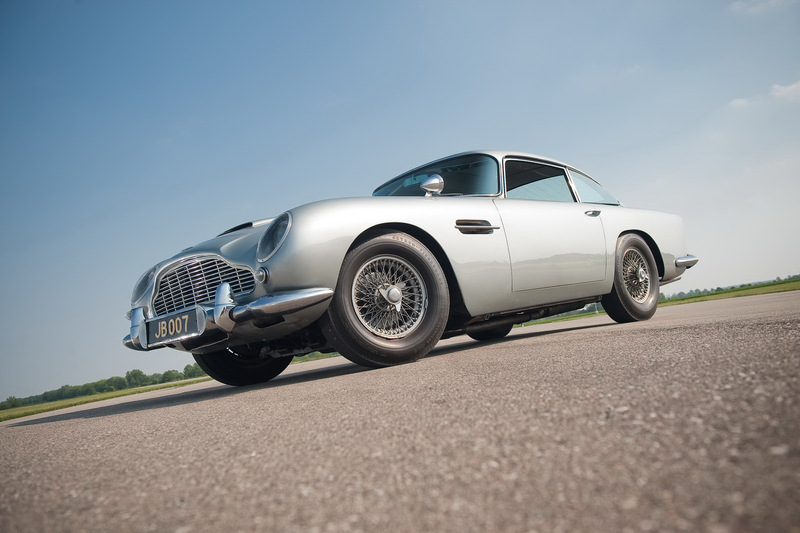 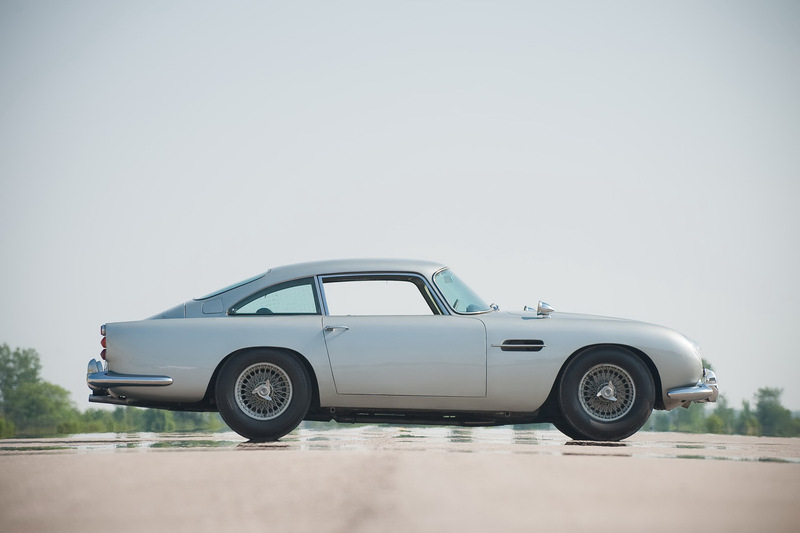 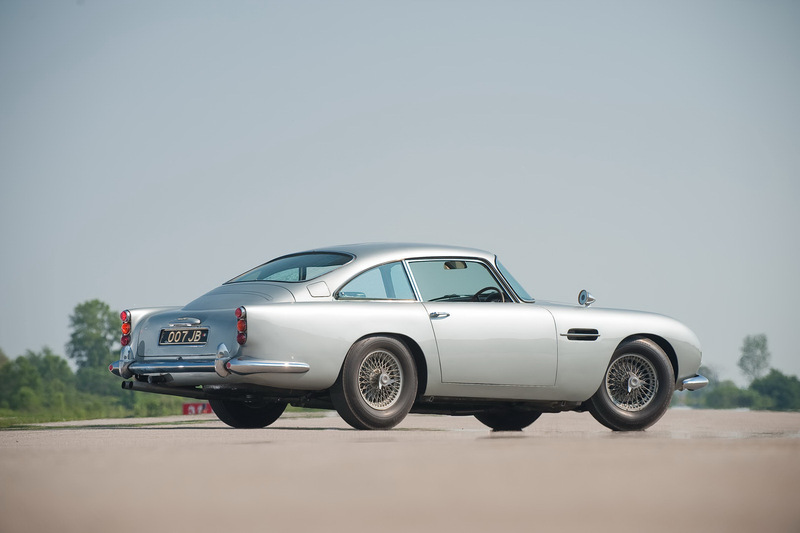 The auction will take place in London on the 27th of October, but don’t get your hopes high as 007’s original Aston is expected to fetch north of US$5 million. 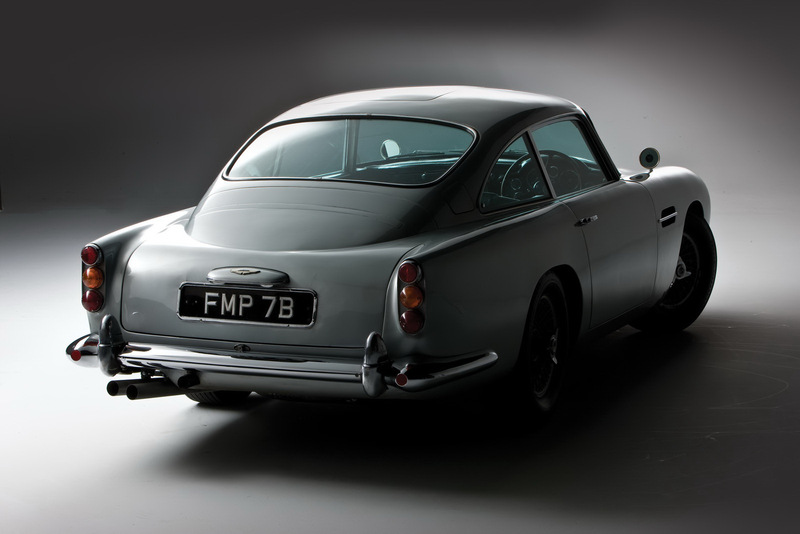 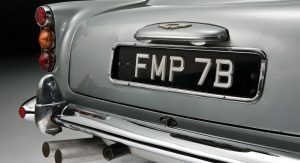 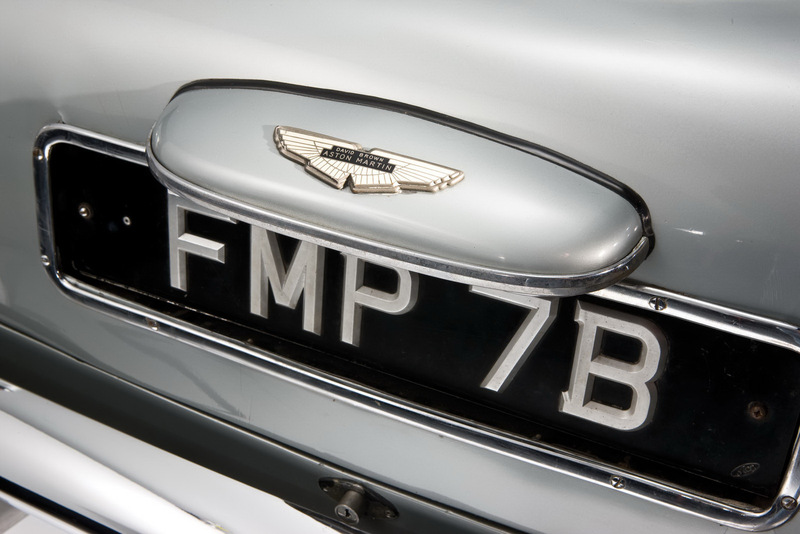 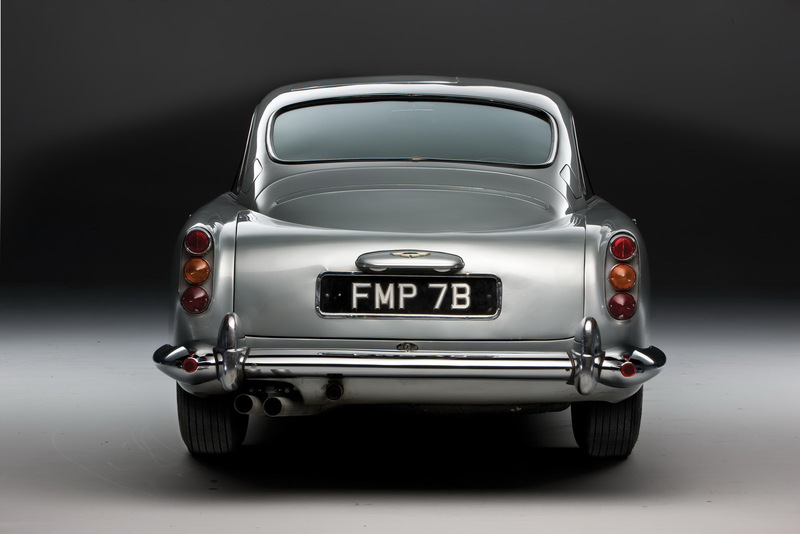 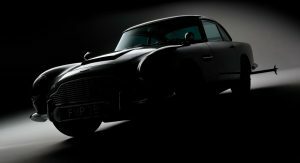 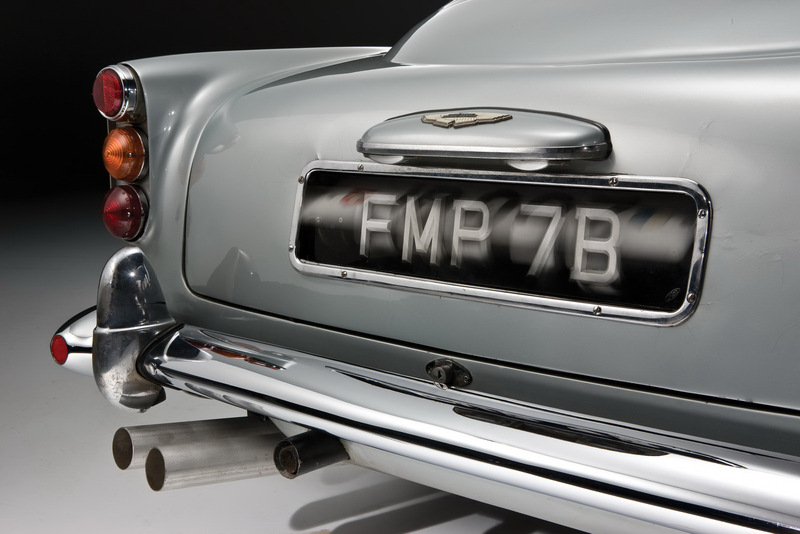 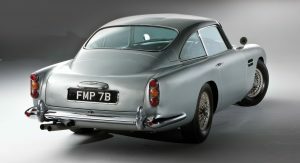 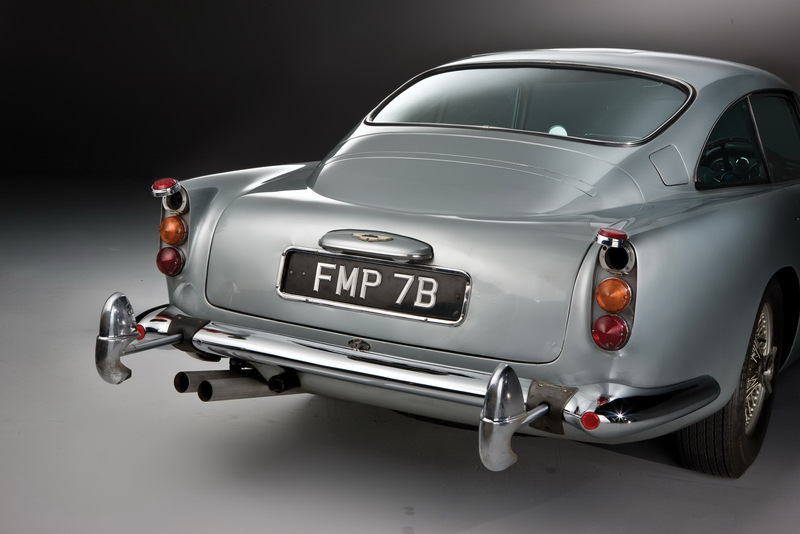 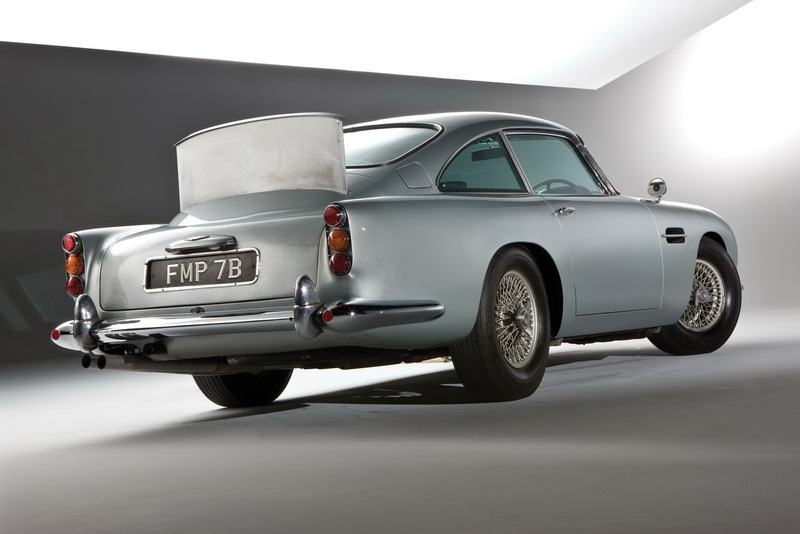 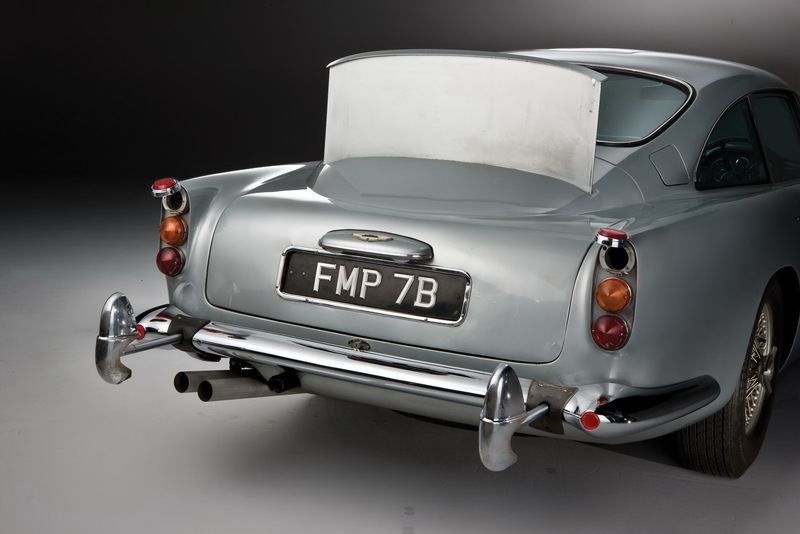 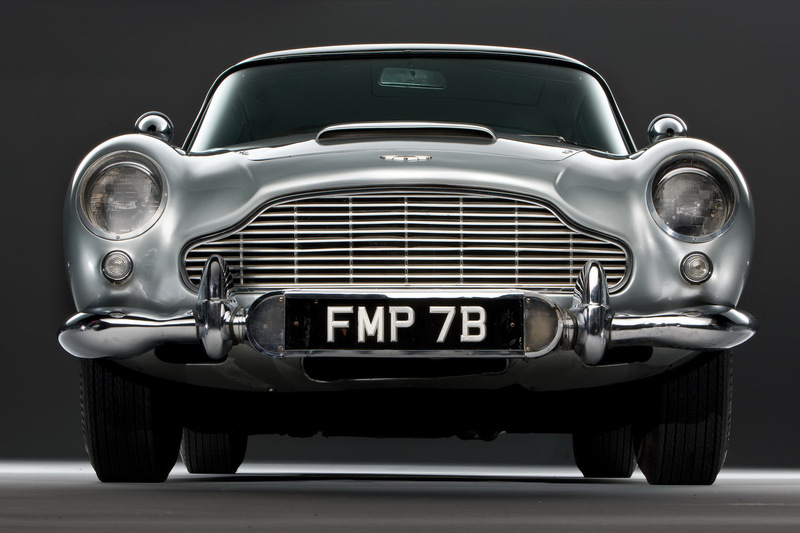 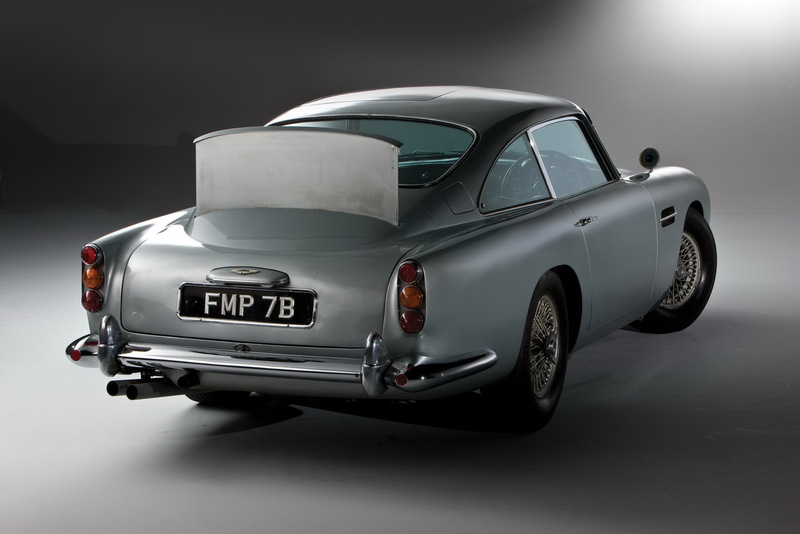 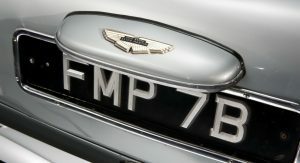 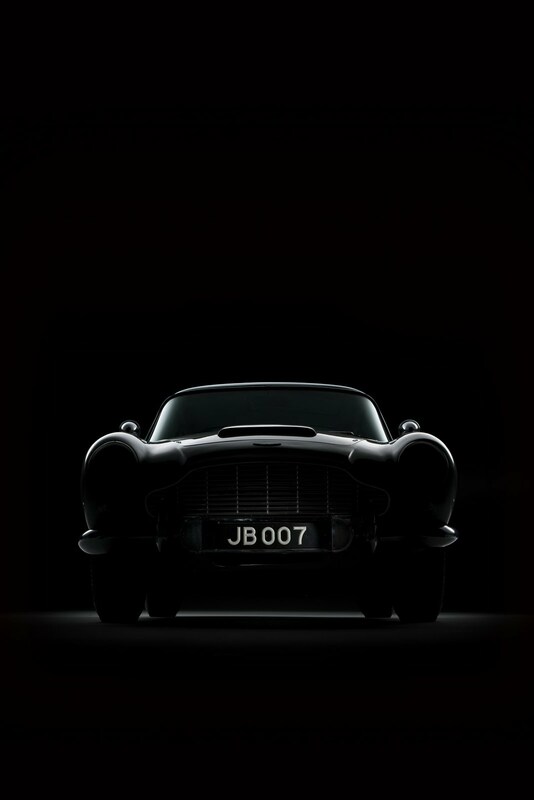 And all for good reason as the 1964 Aston Martin DB5 with UK registration number FMP 7B is one of only two, and the sole remaining, of the original ‘007’ DB5s featured on the big screen with Sean Connery behind the wheel in the classic ‘Goldfinger’ and ‘Thunderball’ movies. 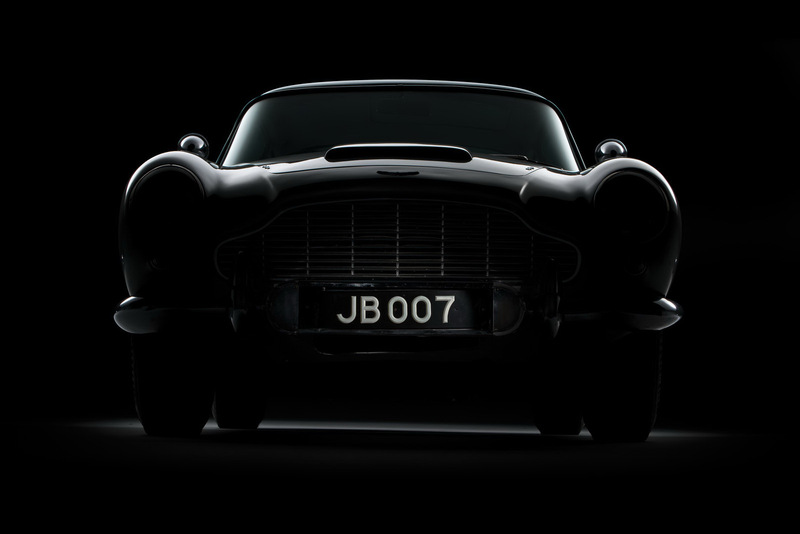 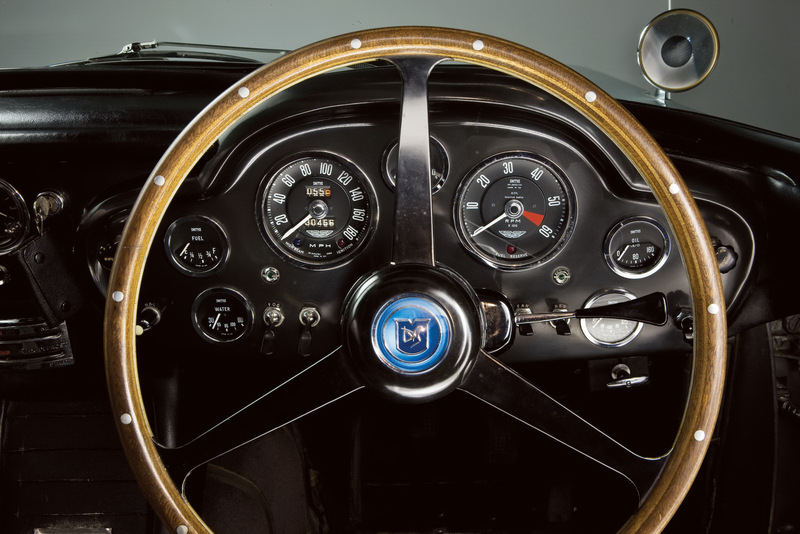 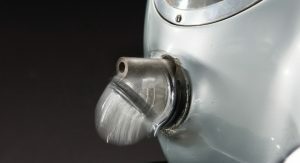 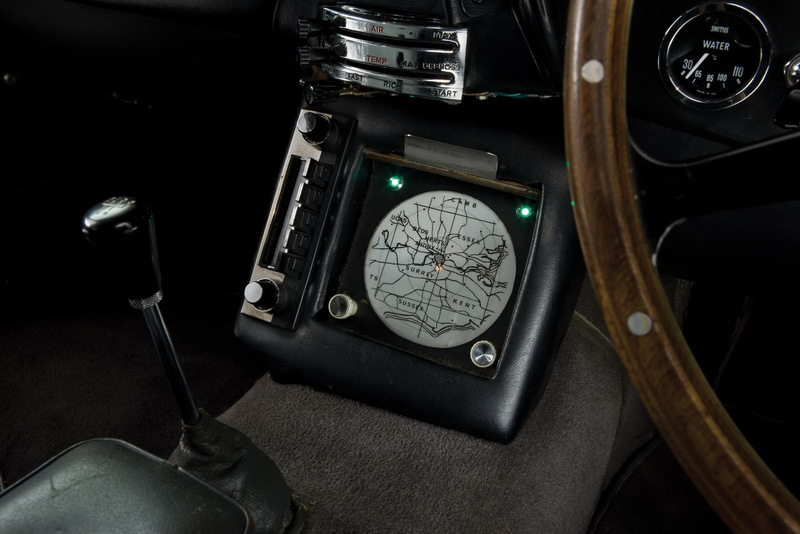 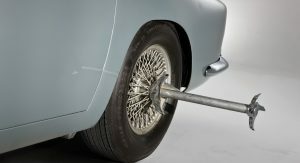 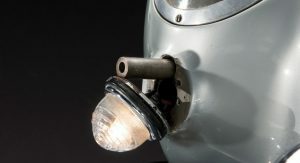 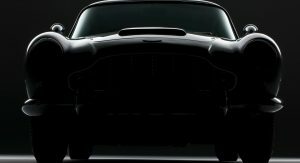 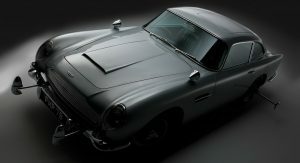 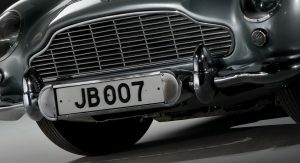 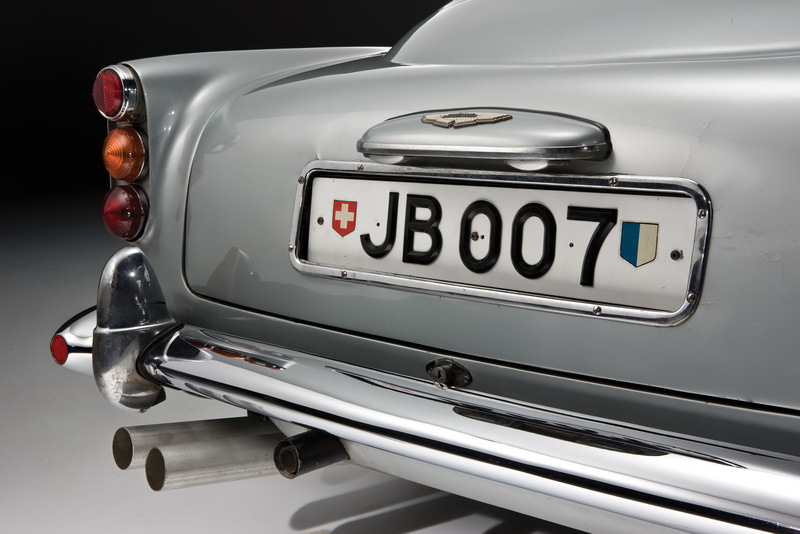 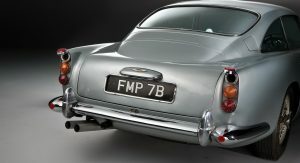 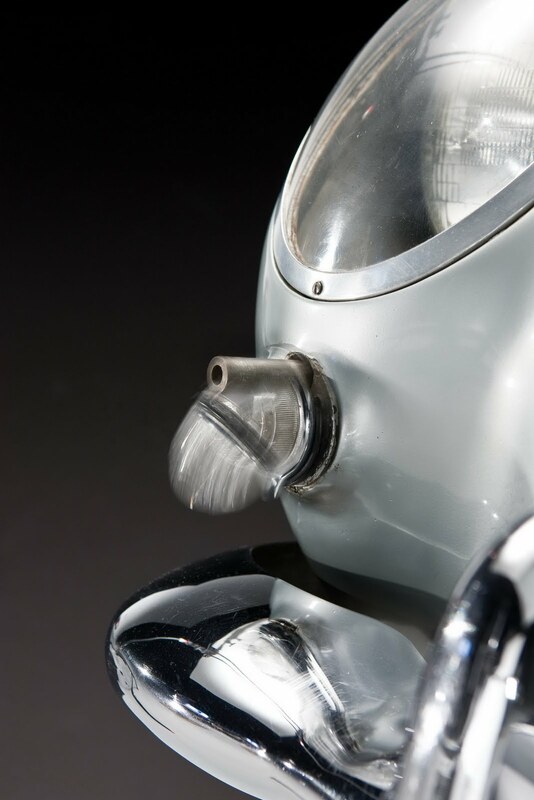 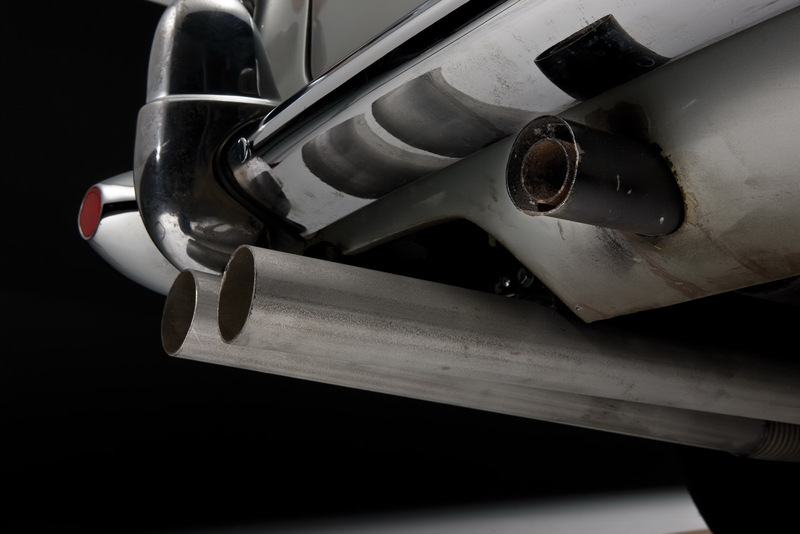 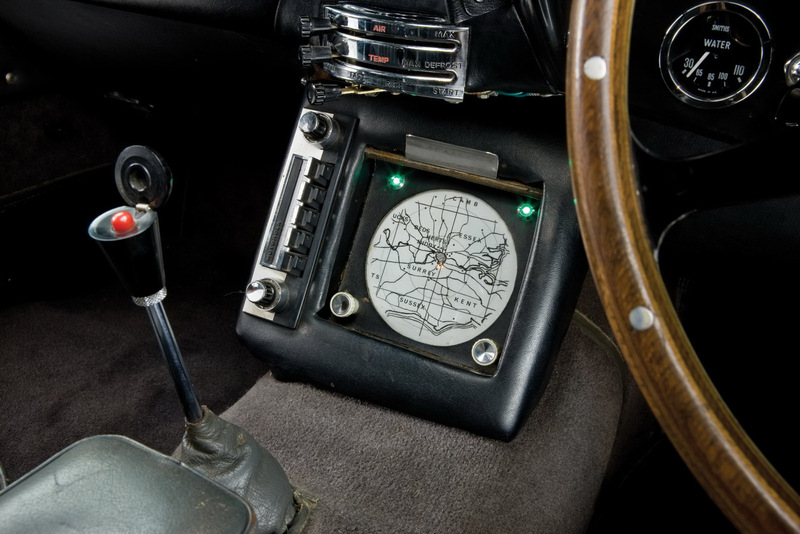 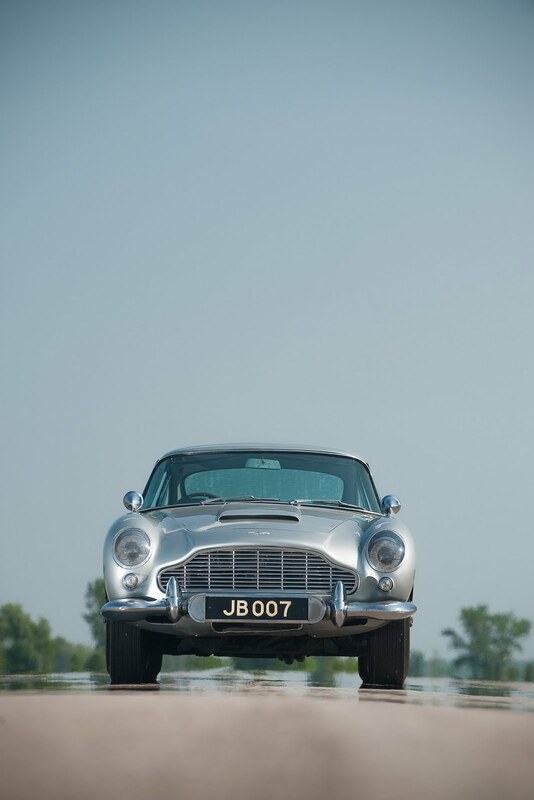 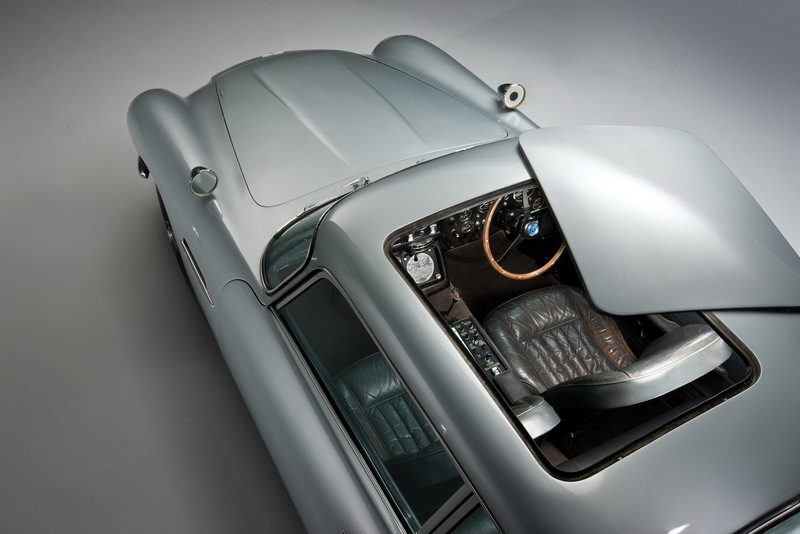 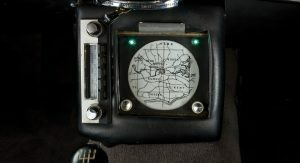 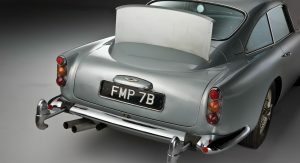 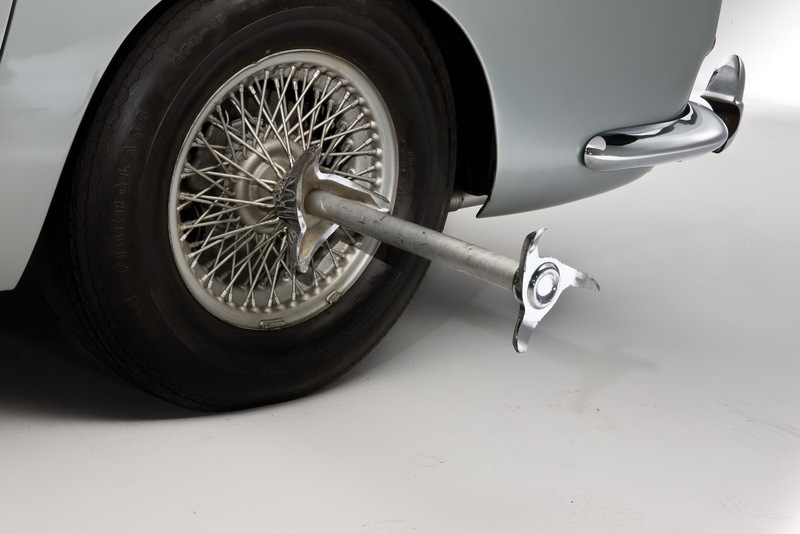 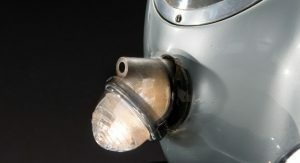 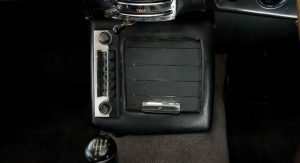 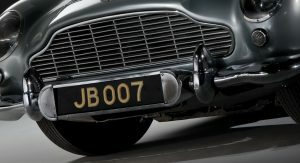 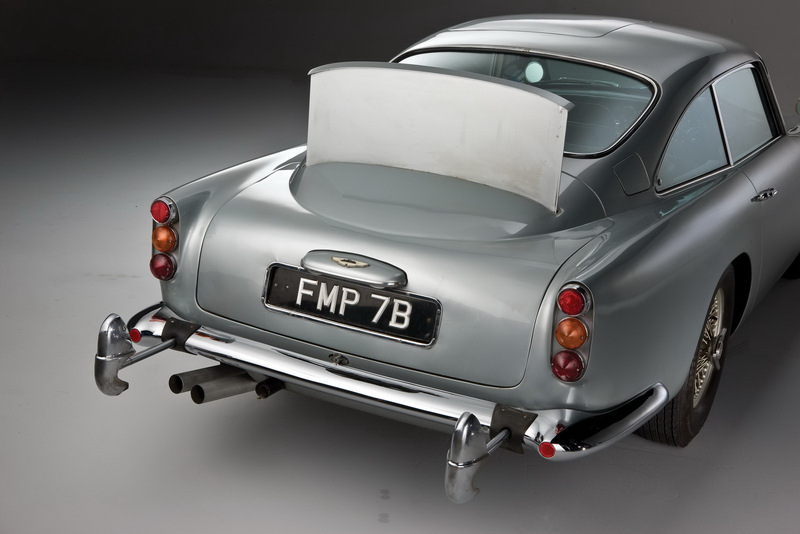 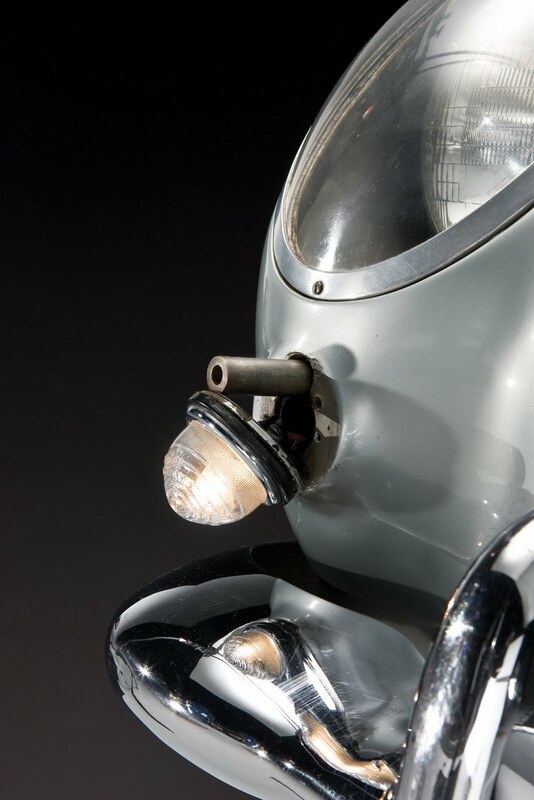 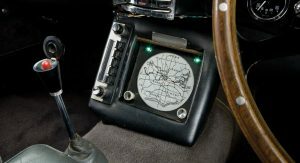 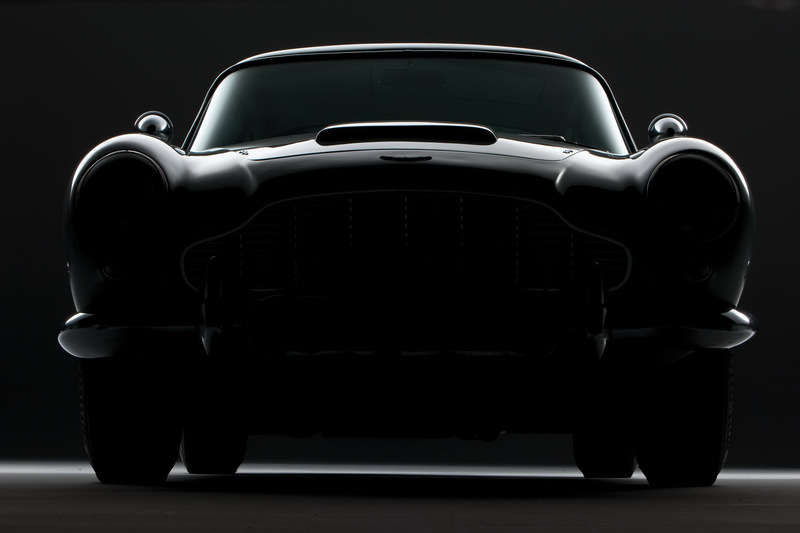 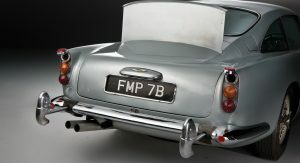 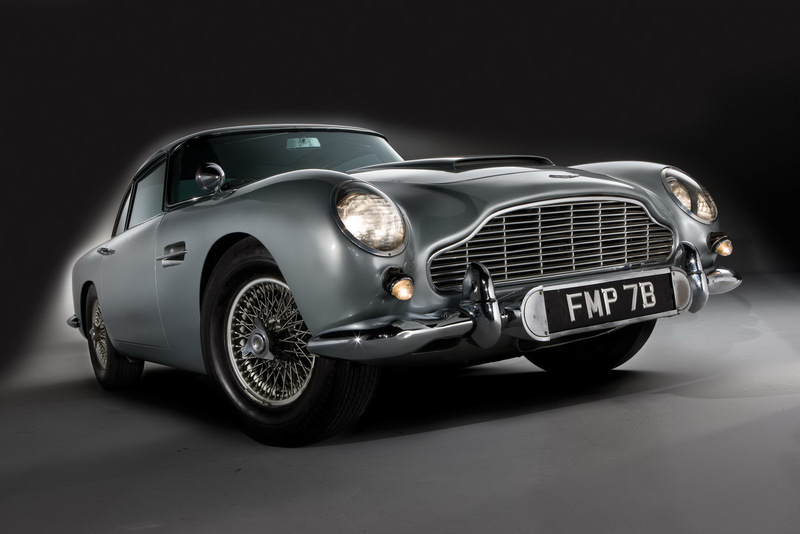 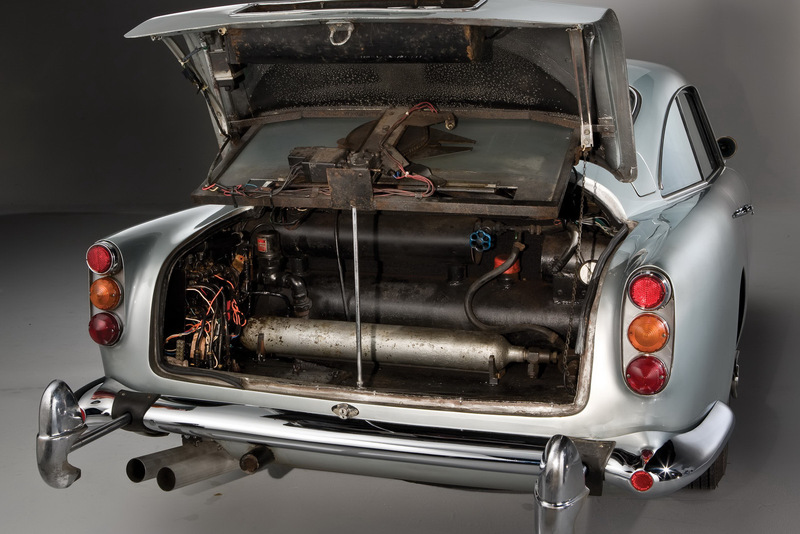 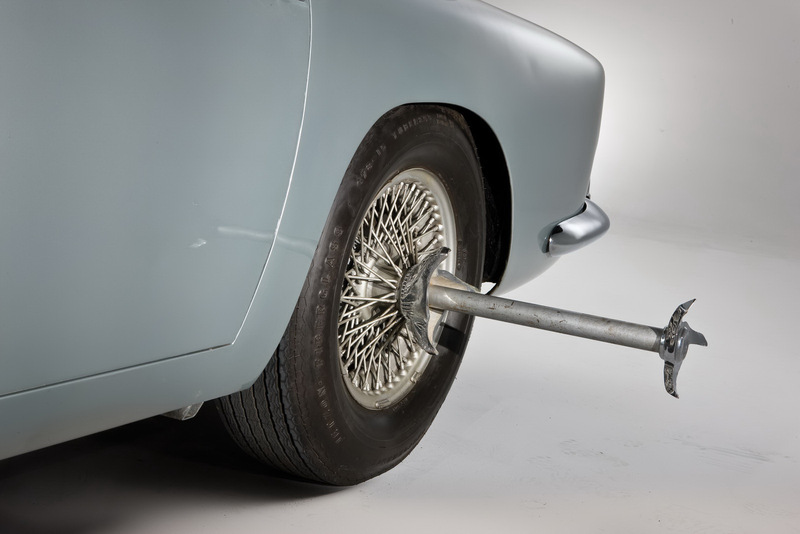 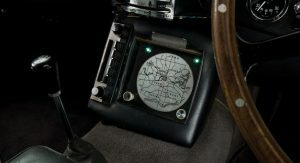 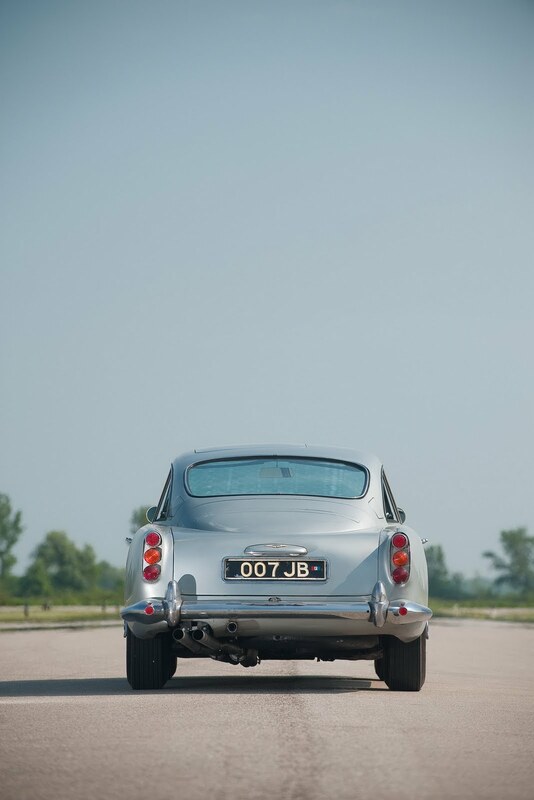 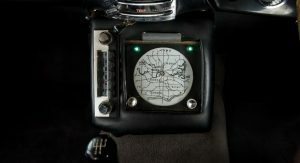 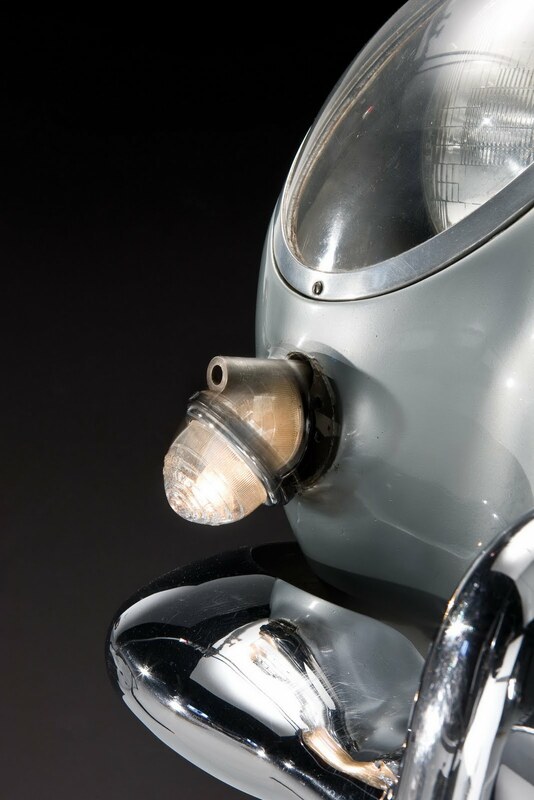 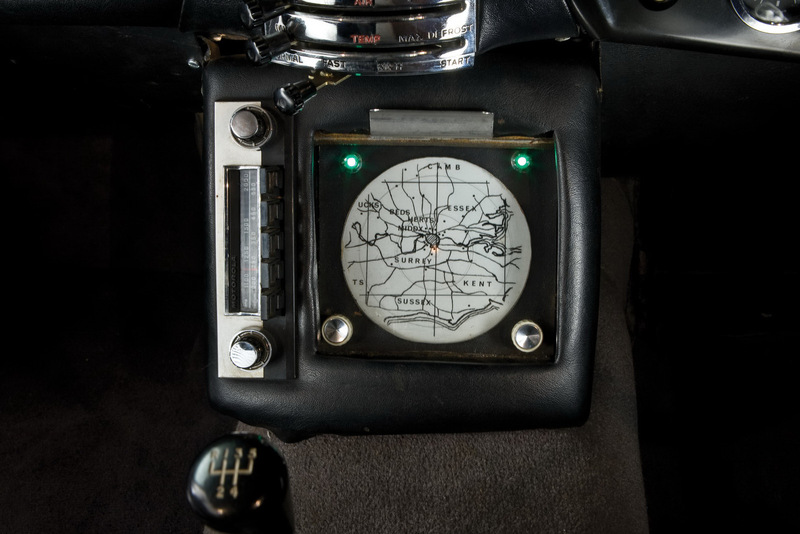 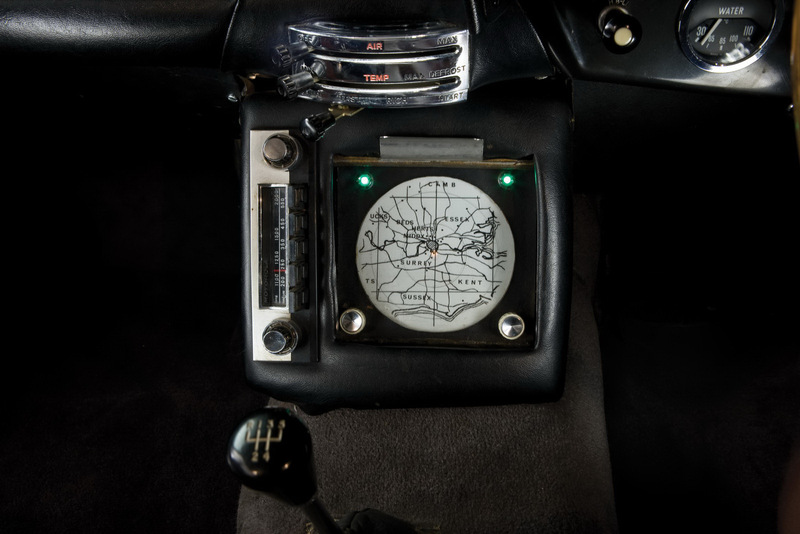 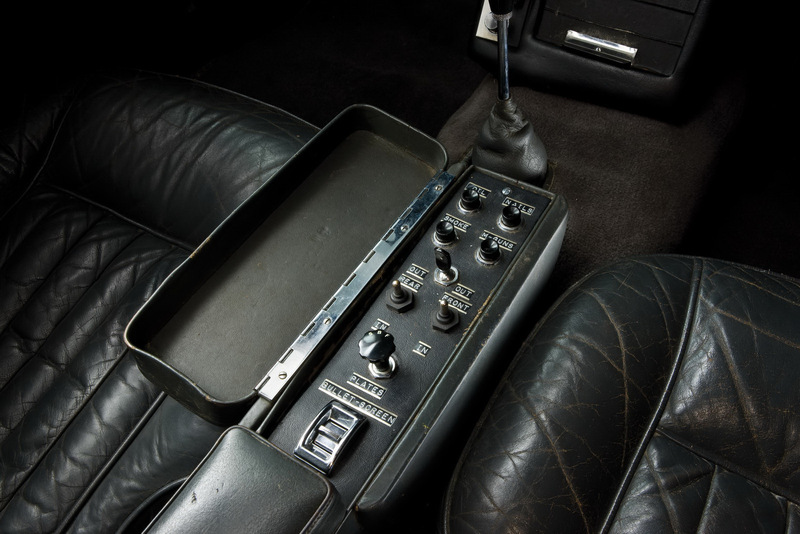 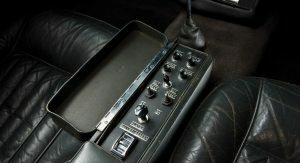 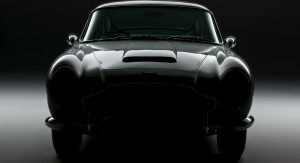 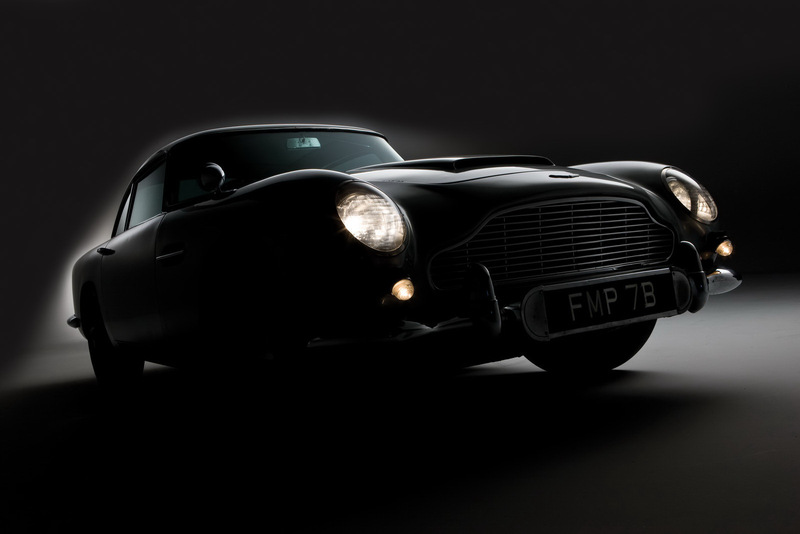 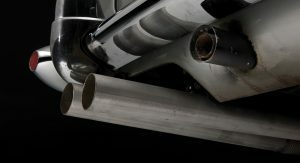 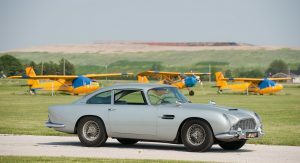 The authentic Bond movie car comes factory-fitted with all the modifications conceived by Oscar-award-winning special effects expert, John Stears. 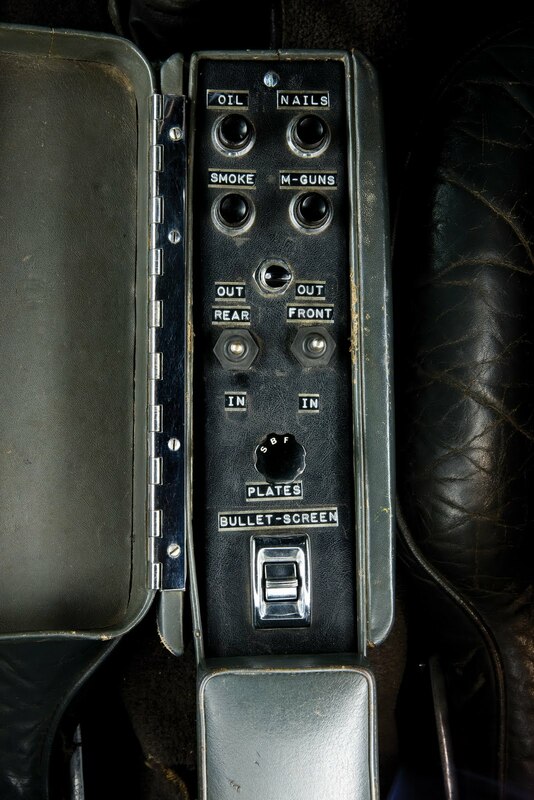 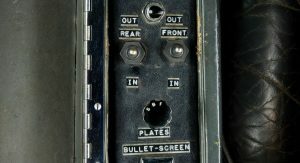 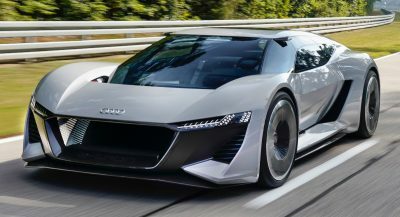 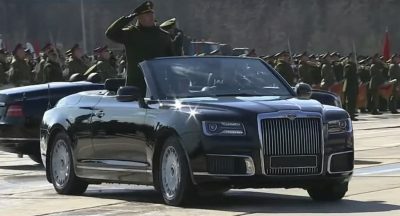 “Q’s” bag of goodies include machine guns, bullet-proof shield, tracking device, revolving number plates, removable roof panel, oil slick sprayer, nail spreader and smoke screen, all of which are controlled from switches in the center arm rest. 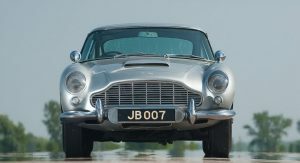 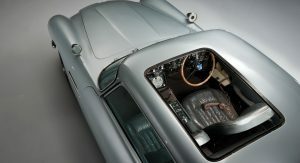 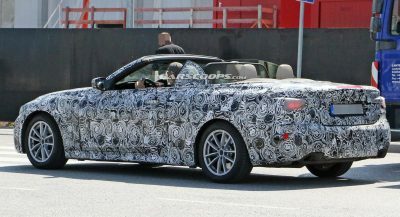 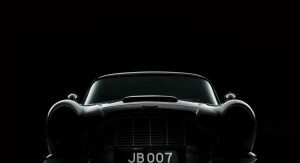 The car’s history is short in terms of owners, in fact aside from James Bond, only one other person has owned the car. 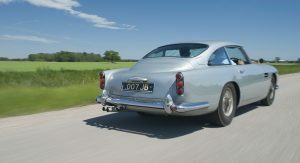 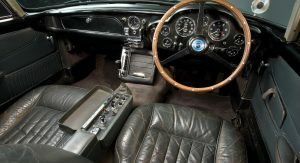 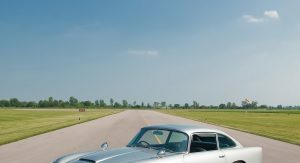 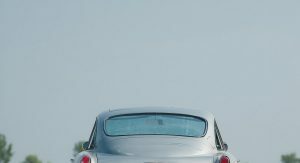 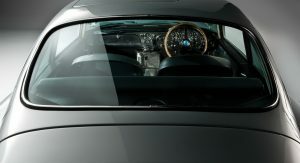 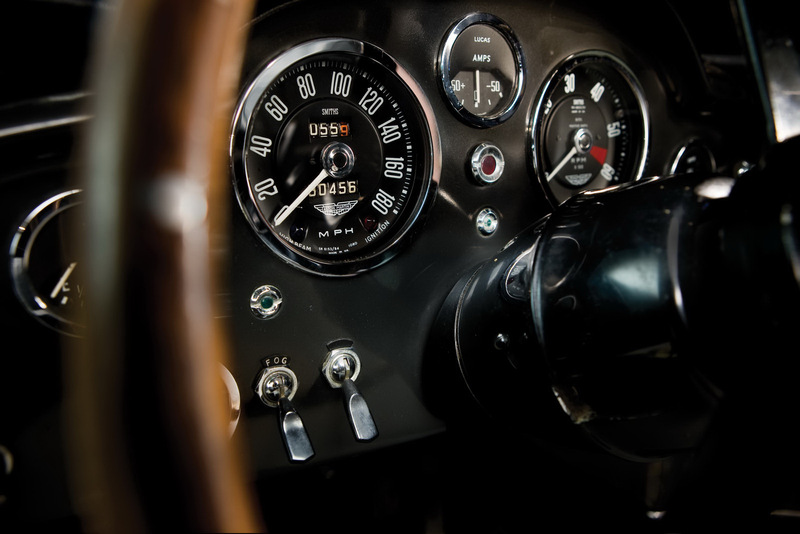 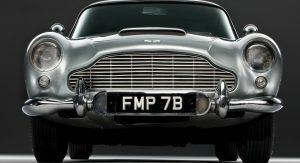 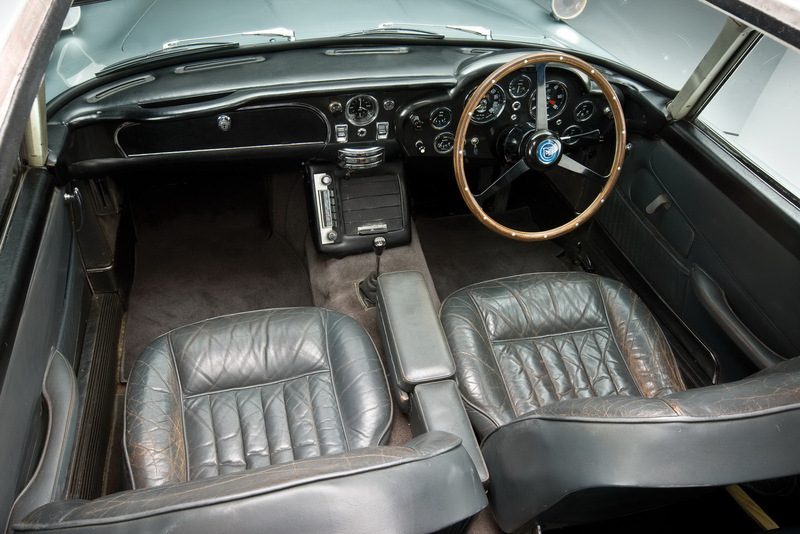 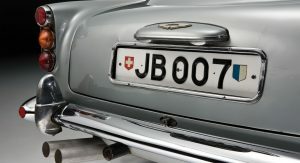 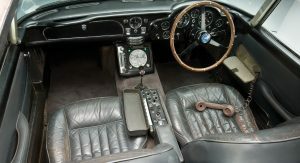 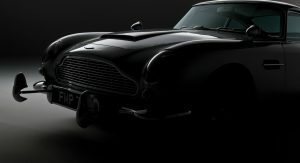 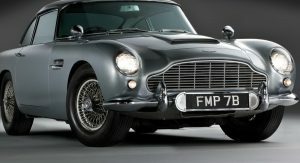 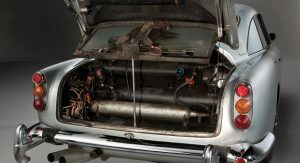 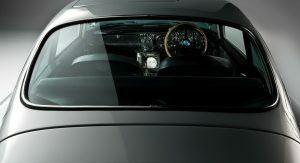 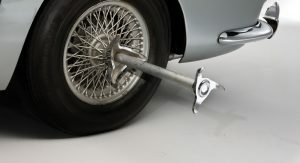 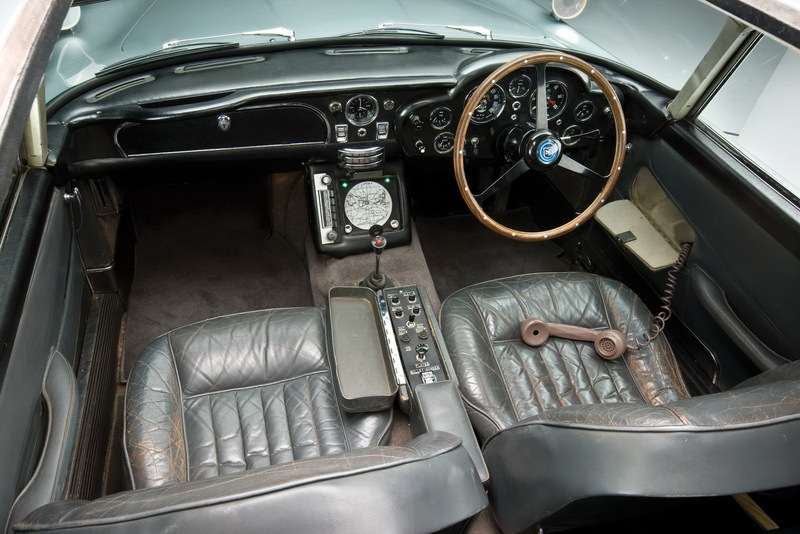 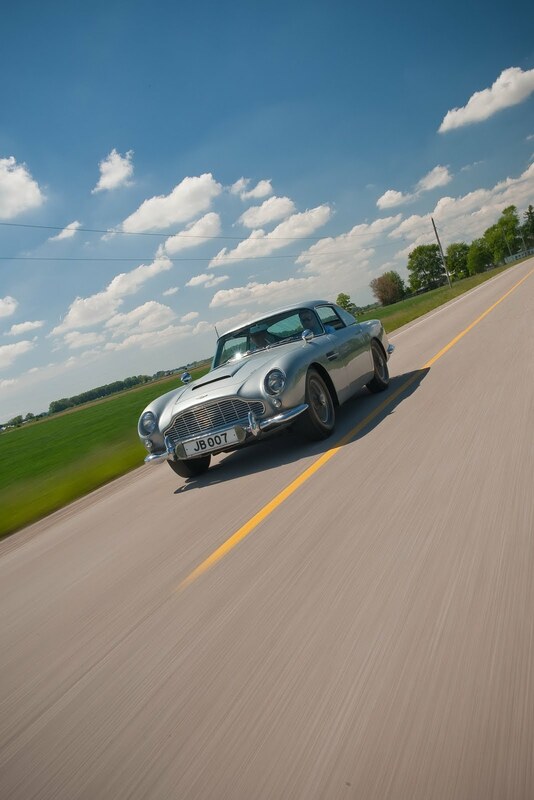 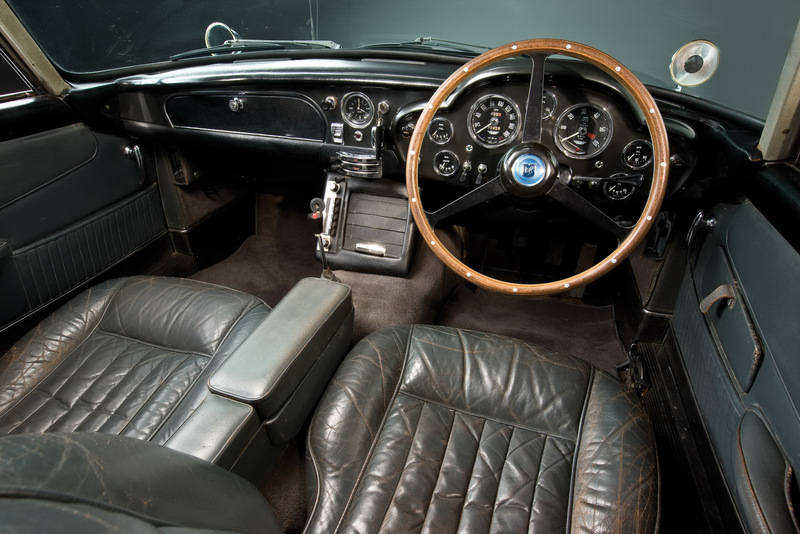 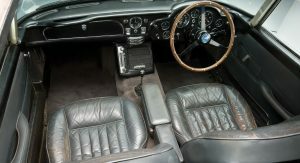 The DB5 was originally loaned to EON Productions for the filming of the two Bond movies, and returned to the Aston Martin Lagonda factory following a special promotional tour. 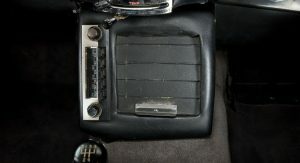 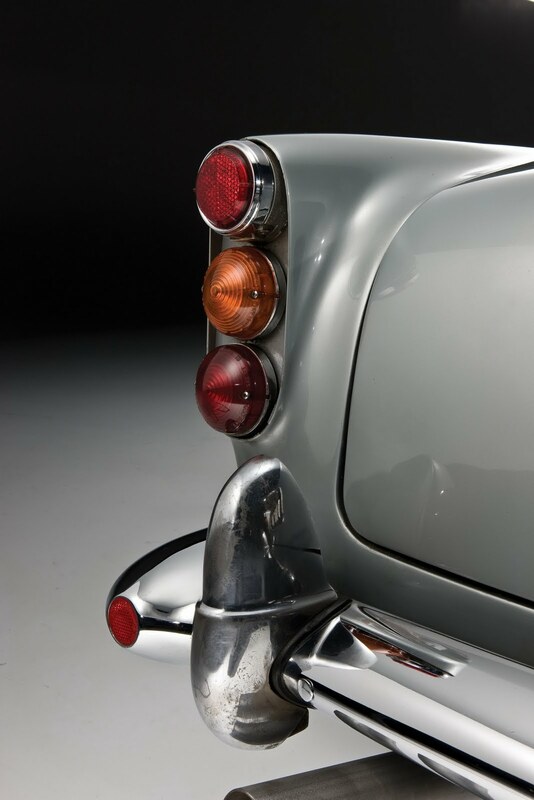 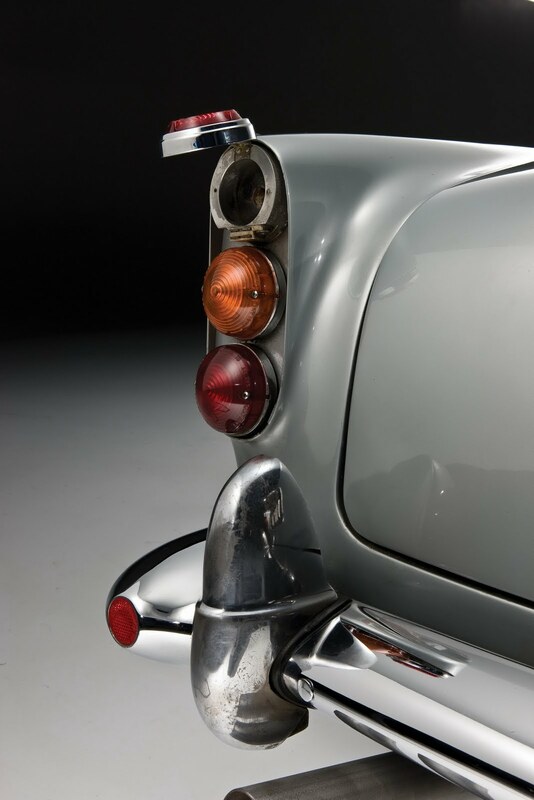 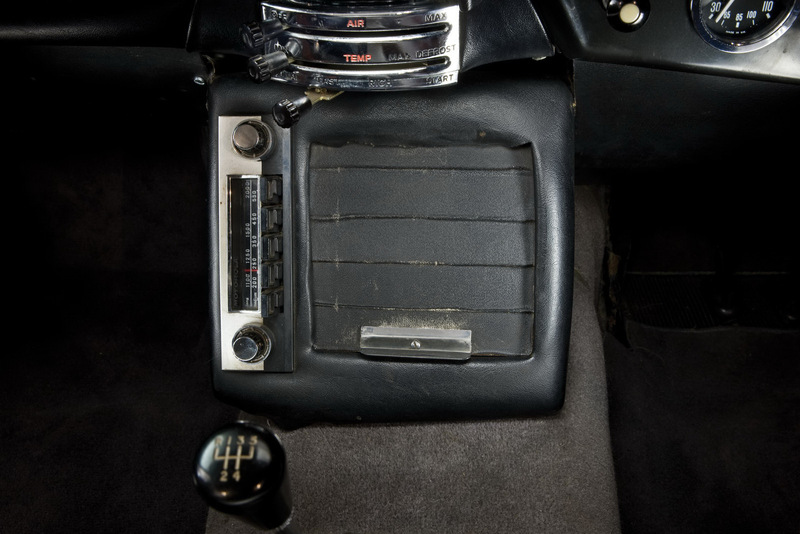 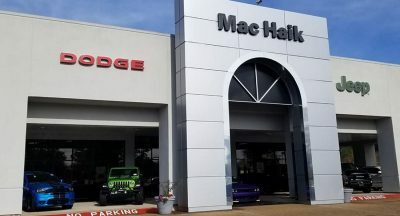 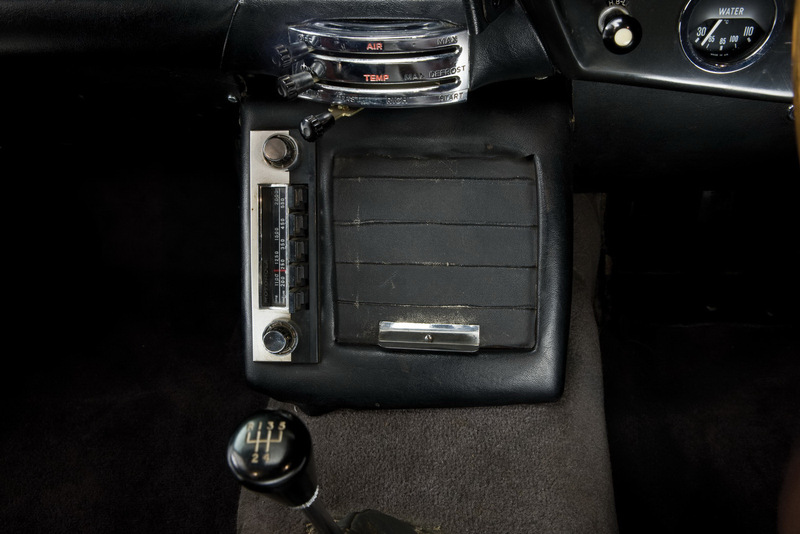 In 1969, Philadelphia-area radio station owner Jerry Lee bought the car from the factory for US$12,000. 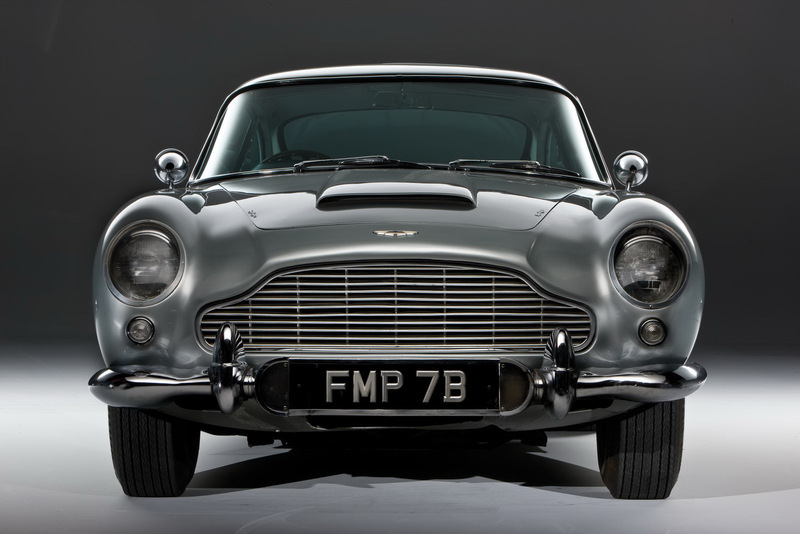 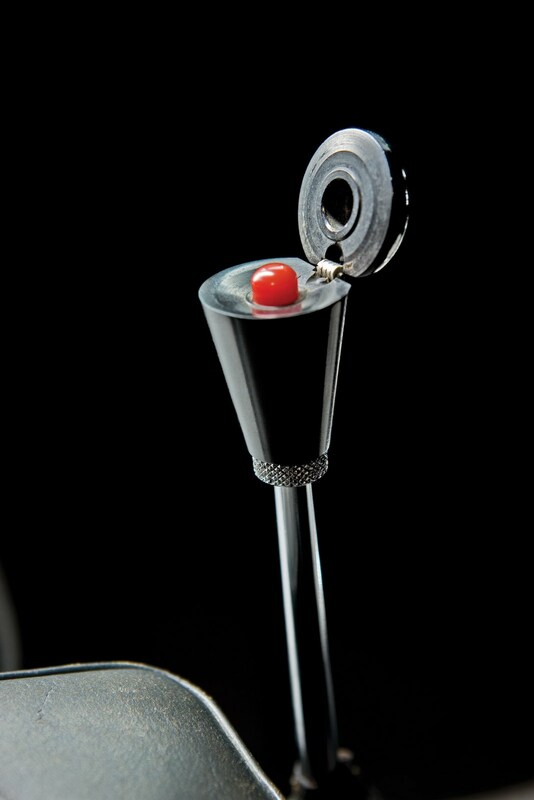 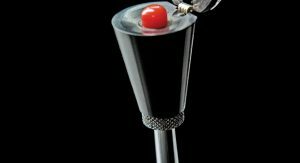 It remained in his possession and has rarely been seen publicly over the past 41 years. 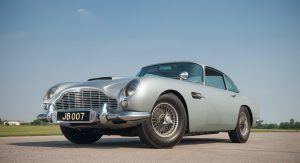 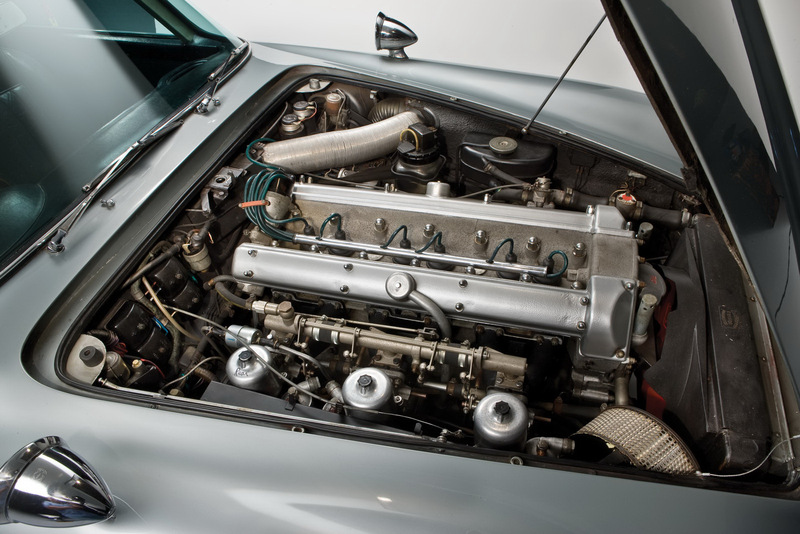 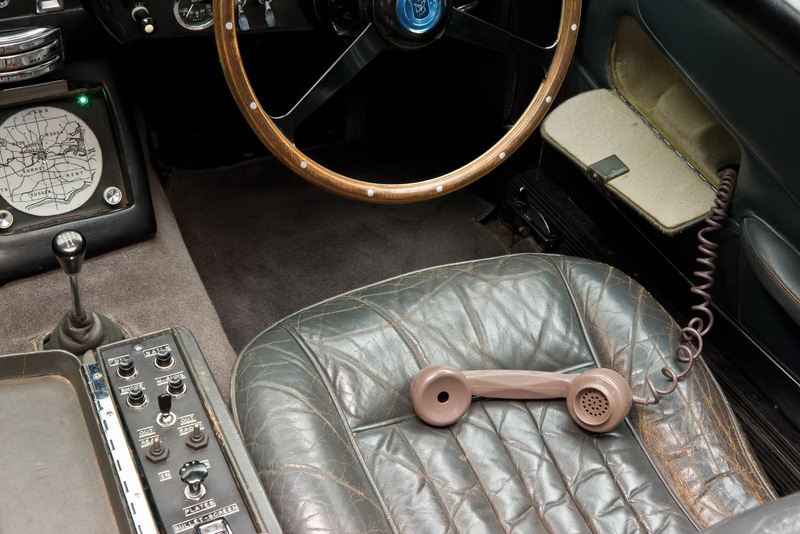 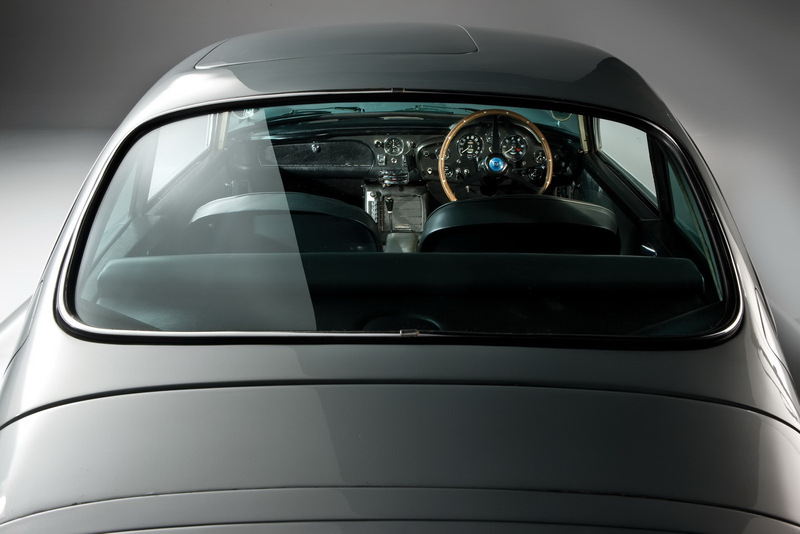 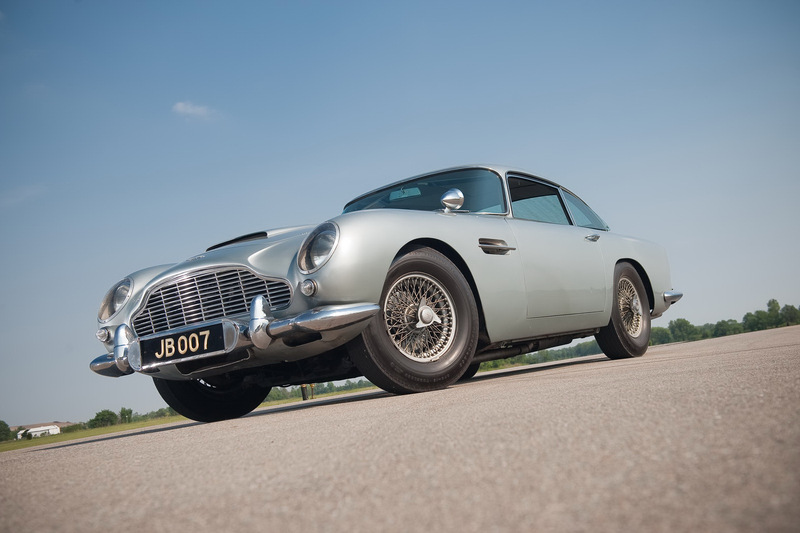 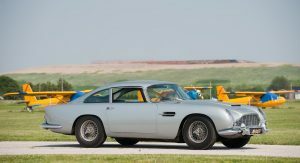 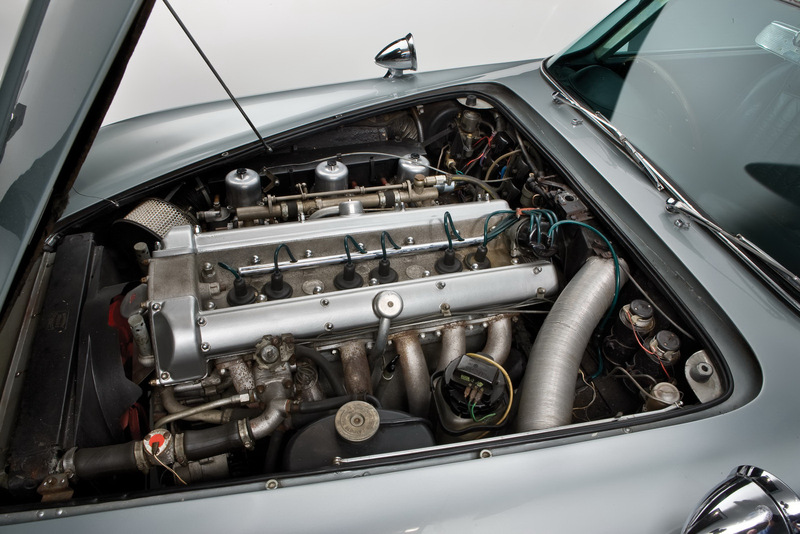 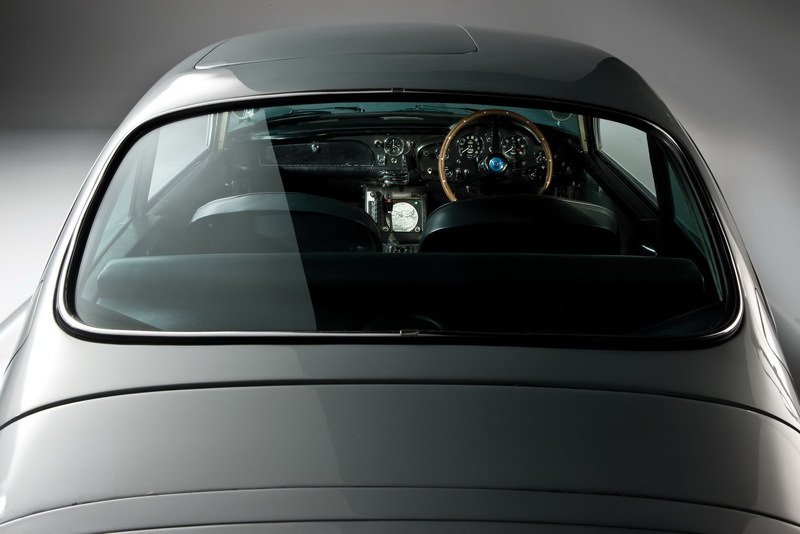 But now the time has come for DB5 to find a new owner with Lee claiming that he will use the proceeds from the sale to further the charitable work of The Jerry Lee Foundation. 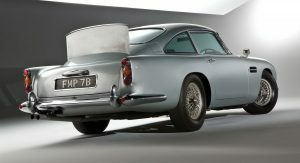 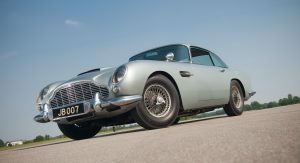 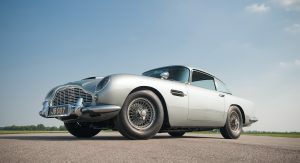 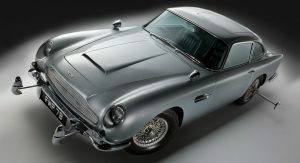 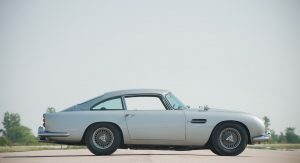 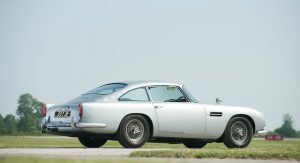 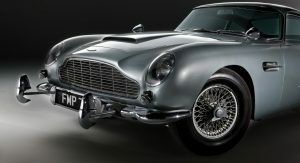 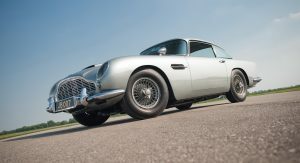 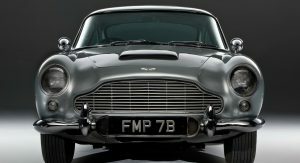 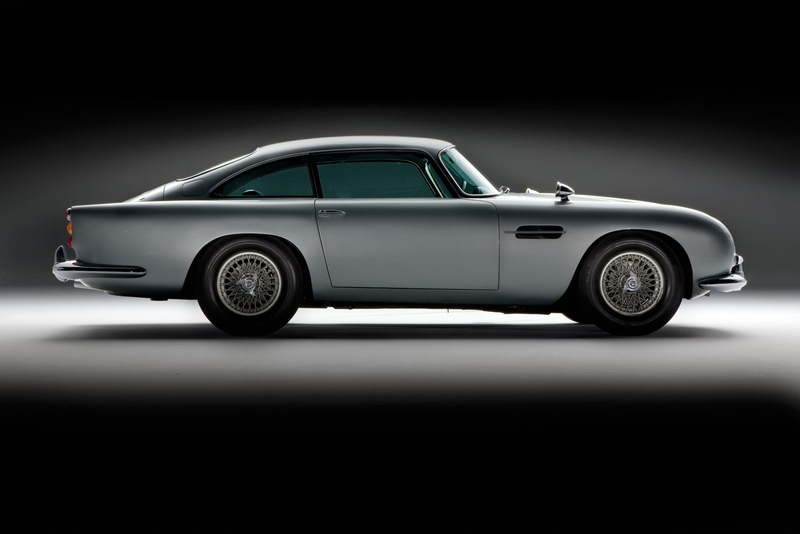 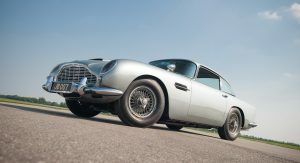 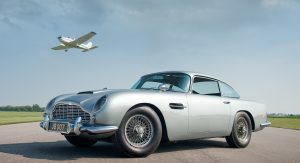 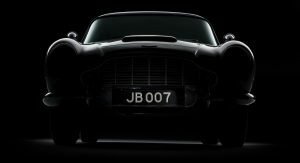 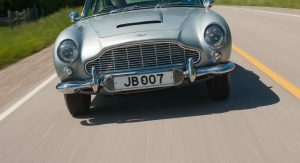 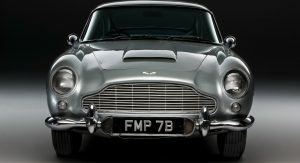 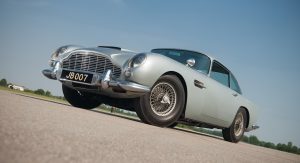 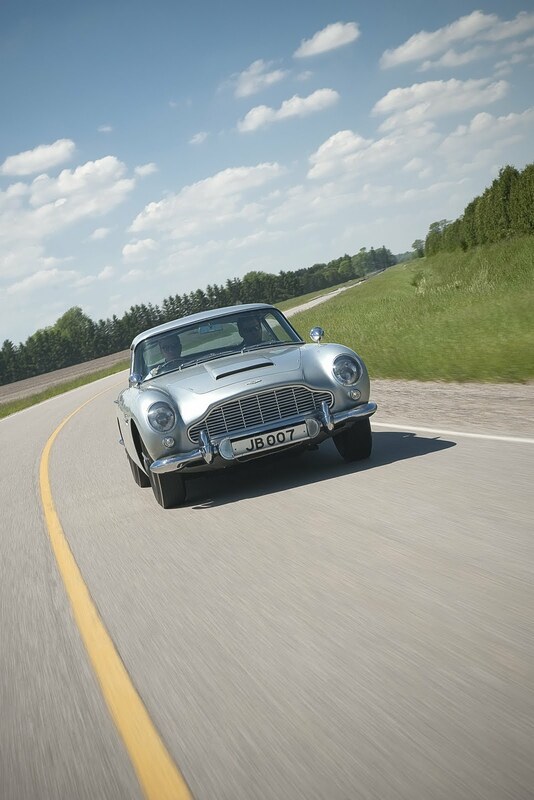 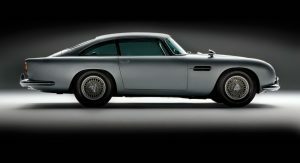 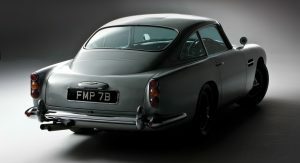 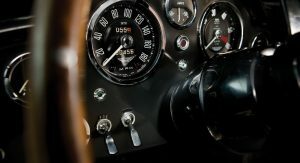 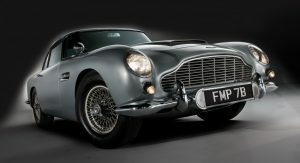 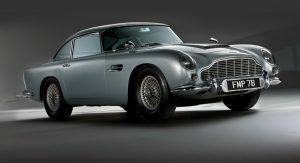 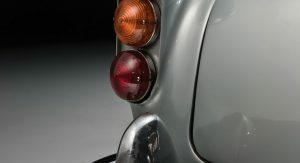 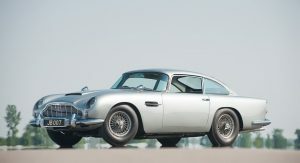 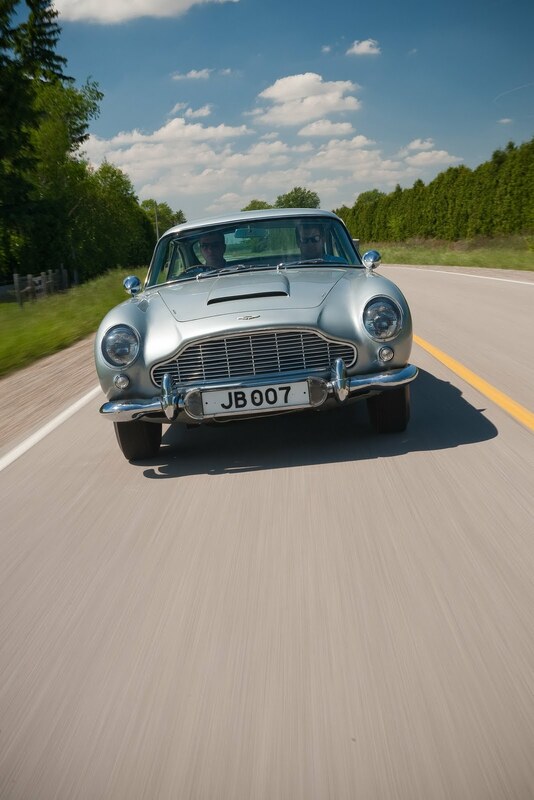 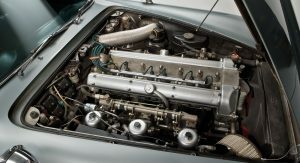 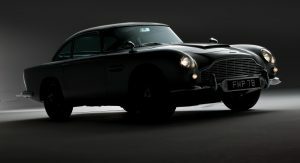 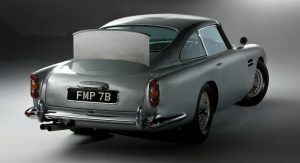 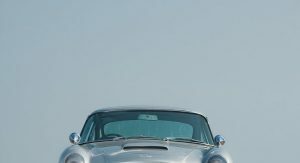 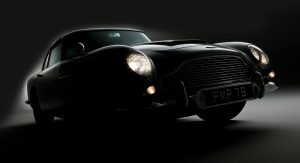 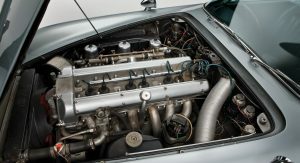 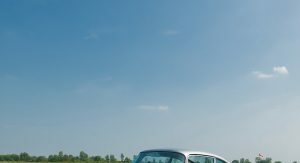 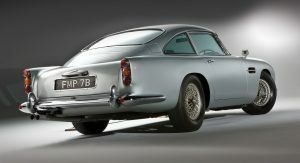 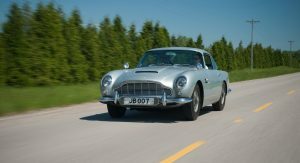 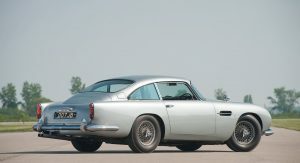 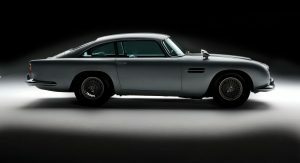 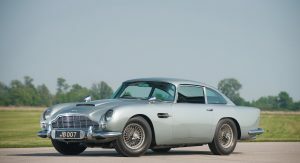 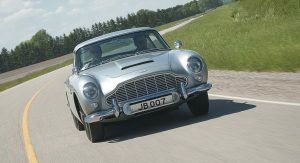 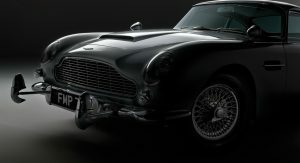 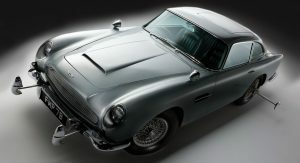 For now, you can enjoy our mega gallery with high-resolution photos of 007’s original 1964 Aston Martin DB5. 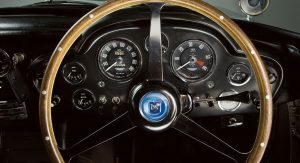 Next PostNext Lamborghini Cnossus Concept Design – What do you Think?